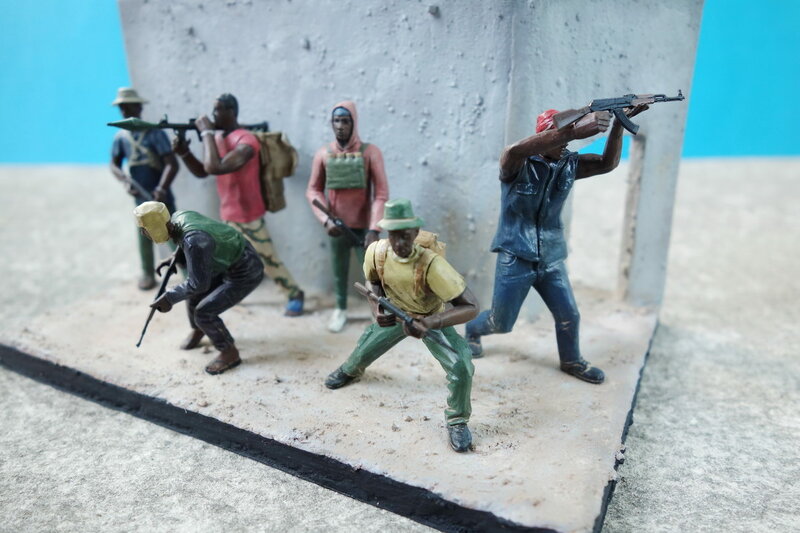 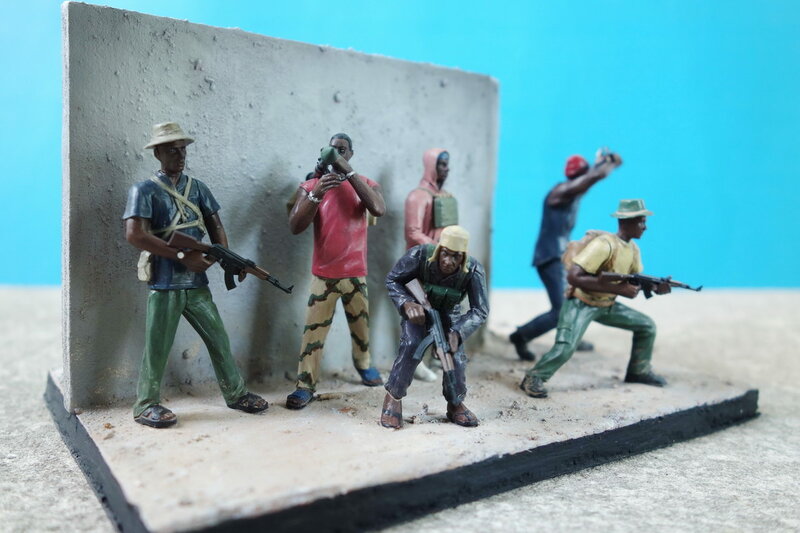 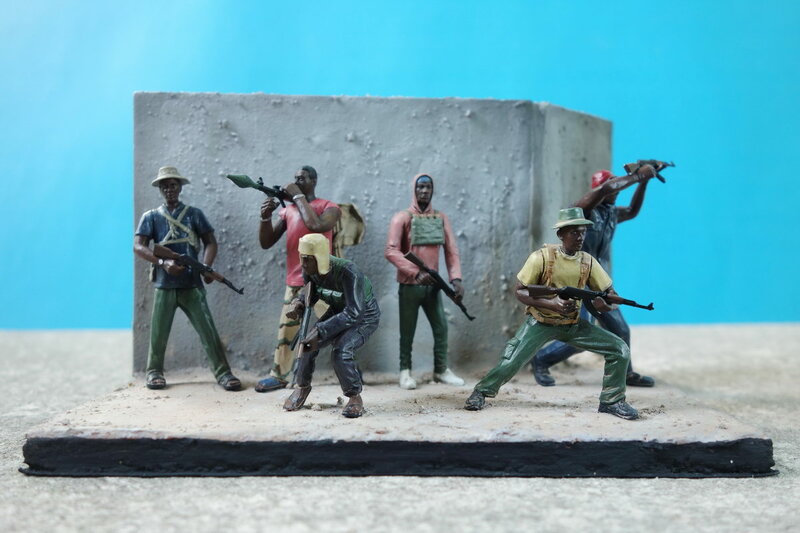 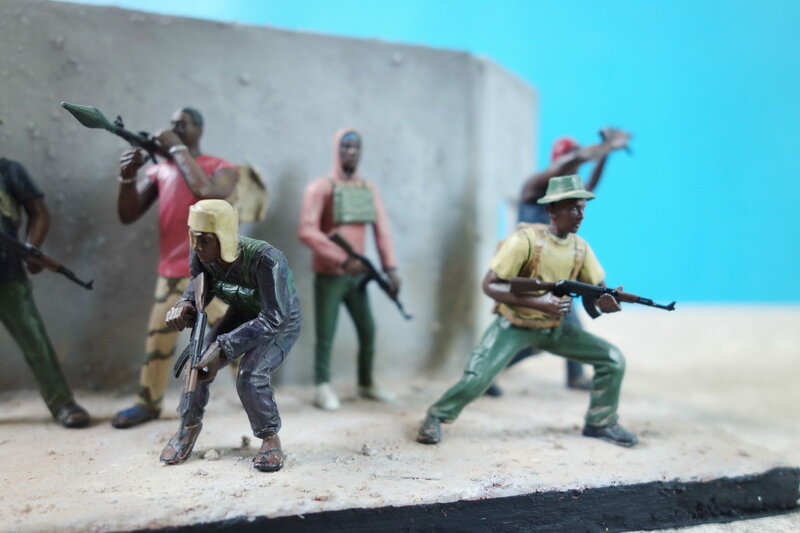 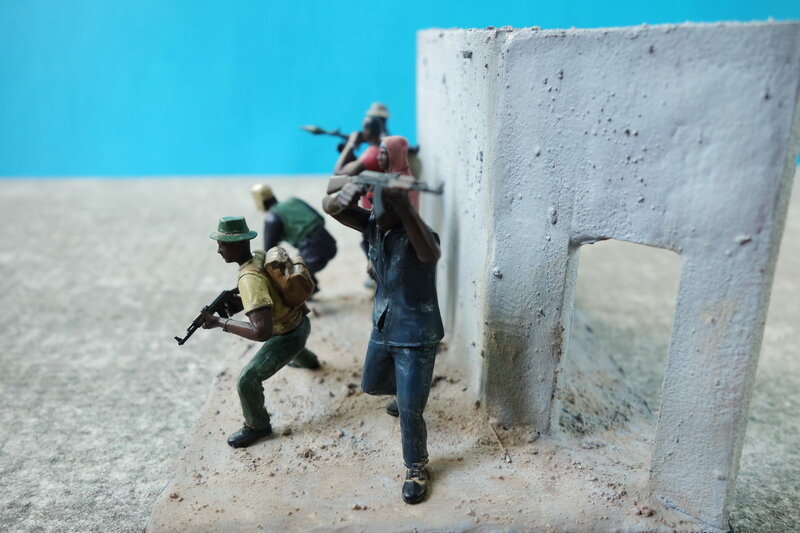 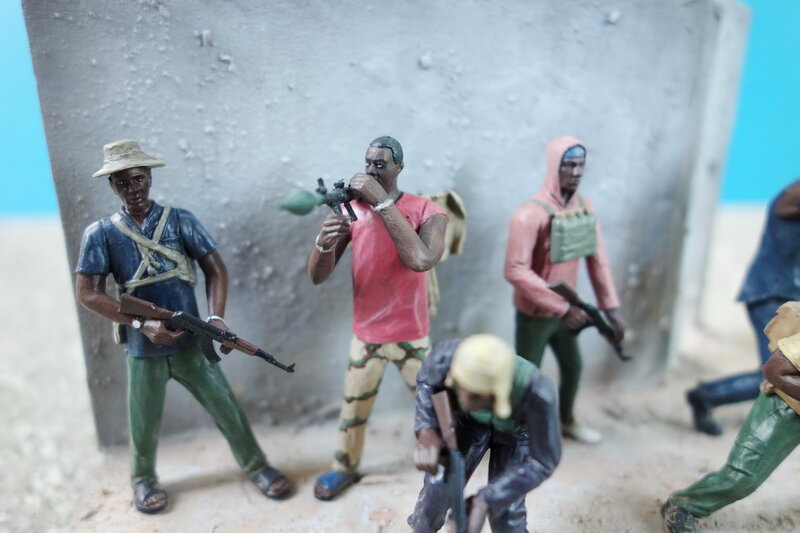 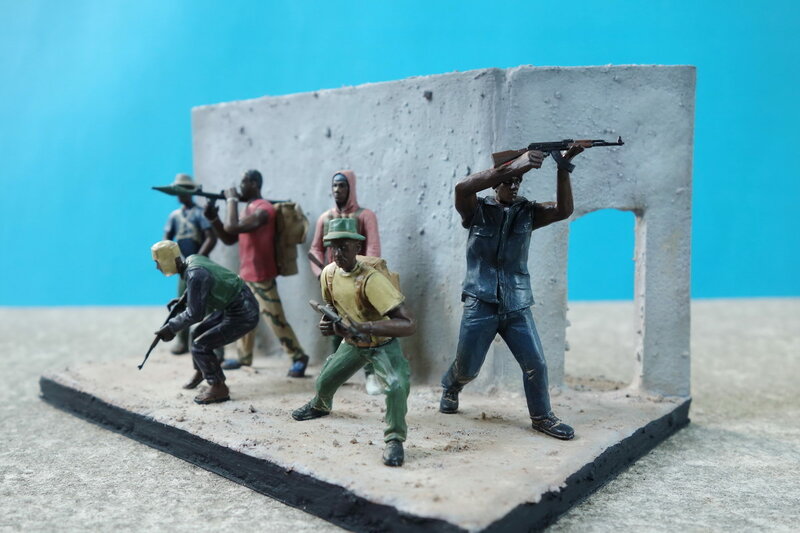 19 March 2018 : Today I proudly present Model Maniac Page 102 - Part C. In this Part there are 9 new pieces by 2 artists on show. 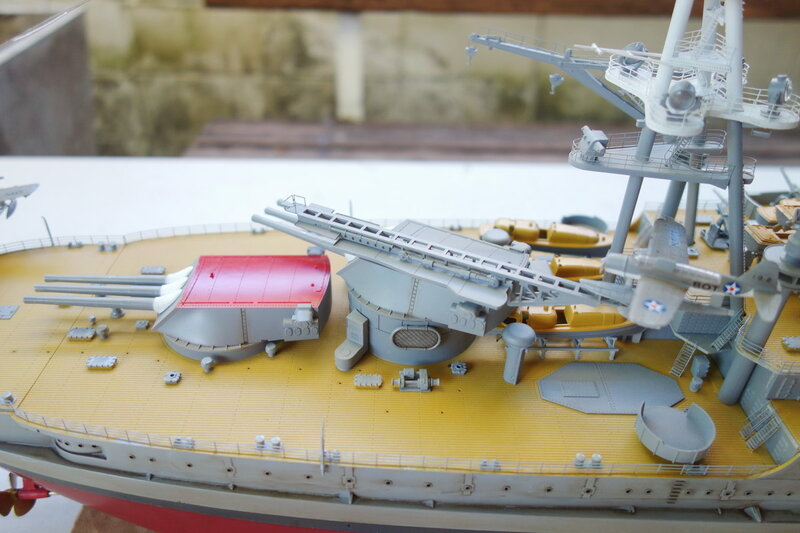 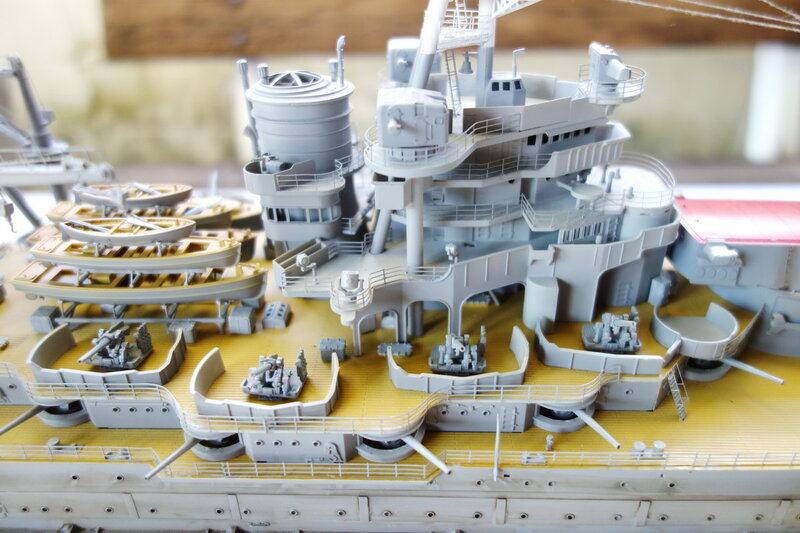 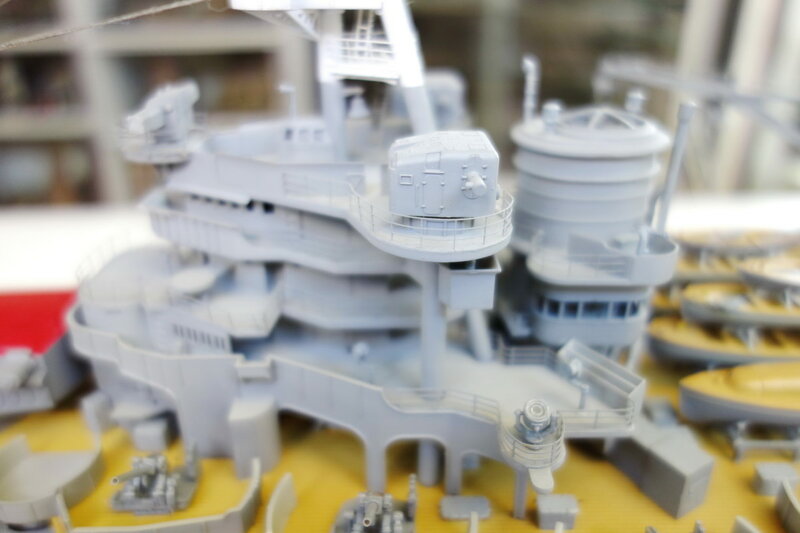 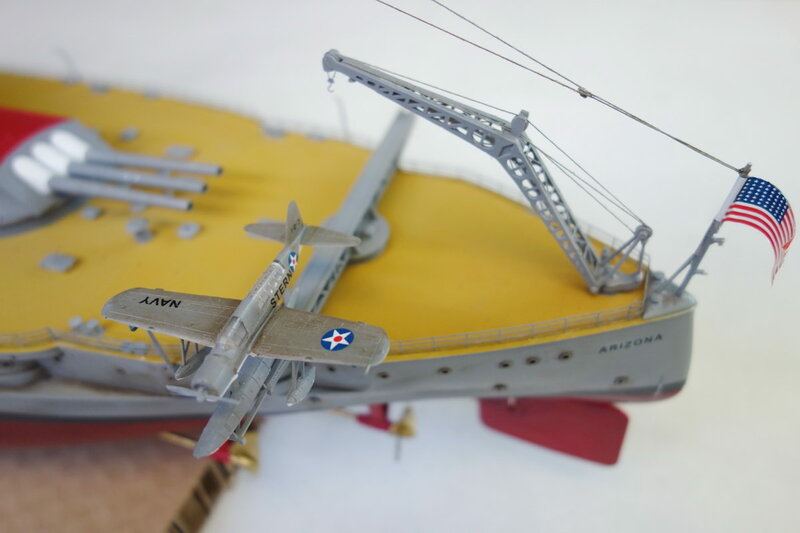 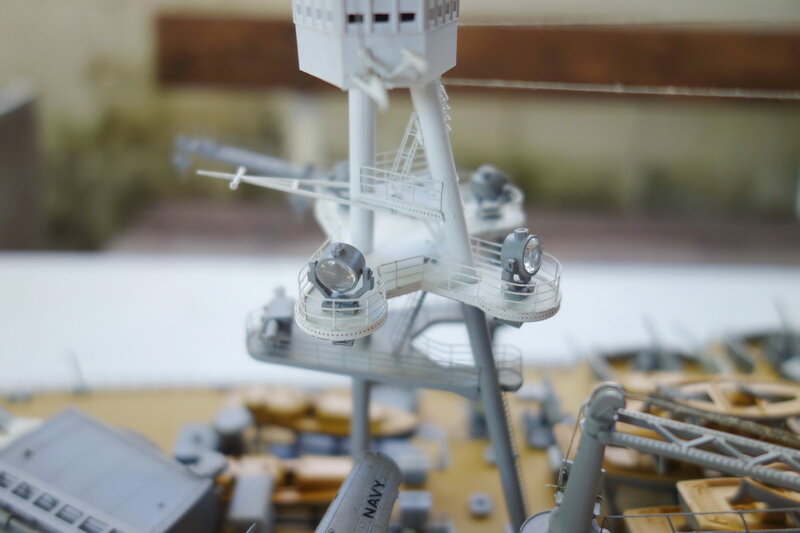 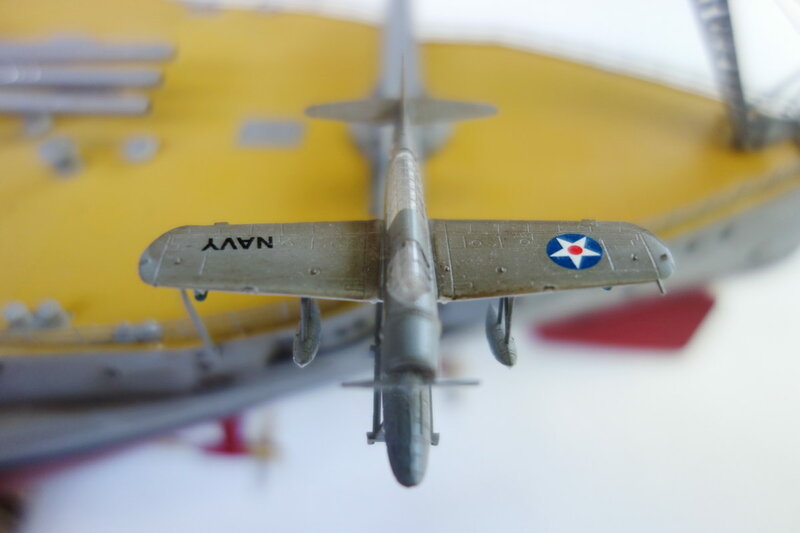 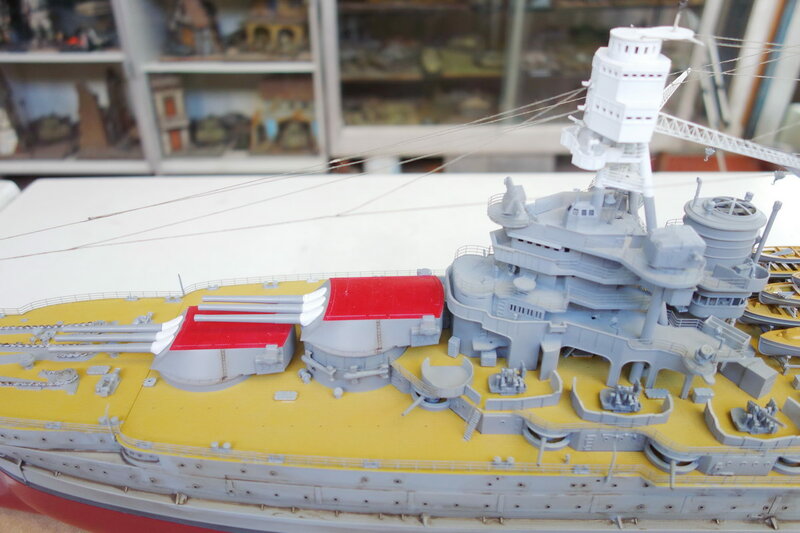 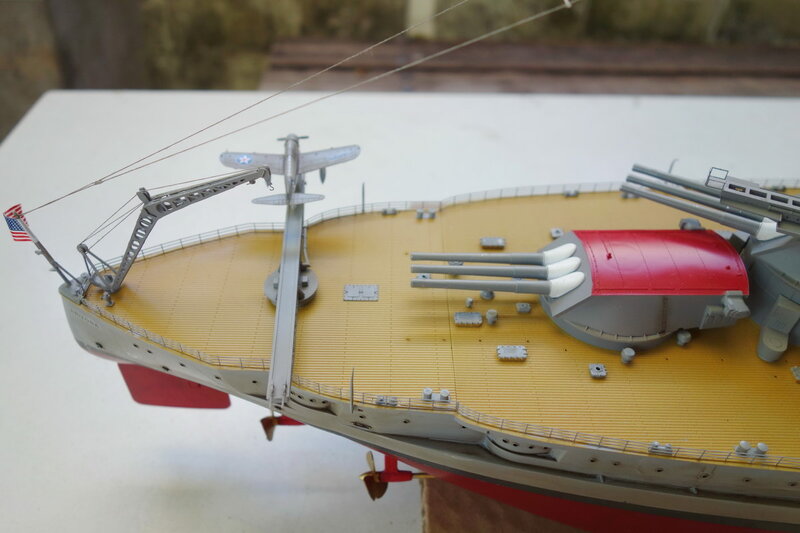 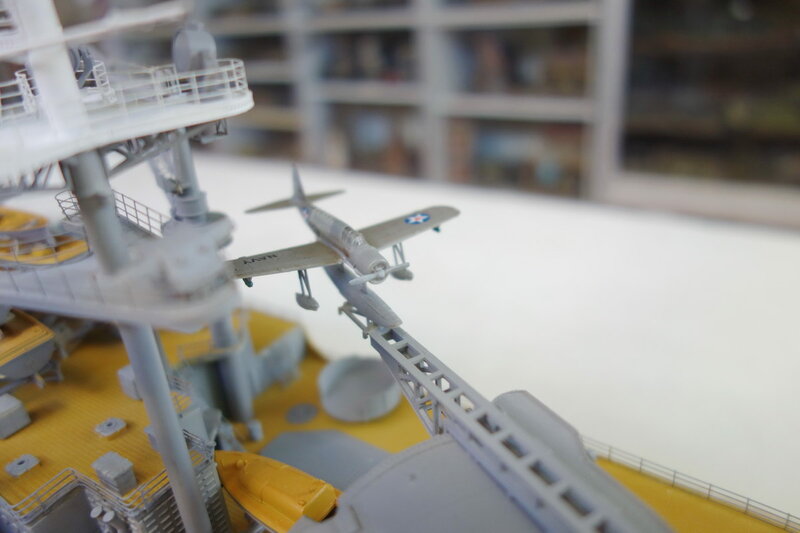 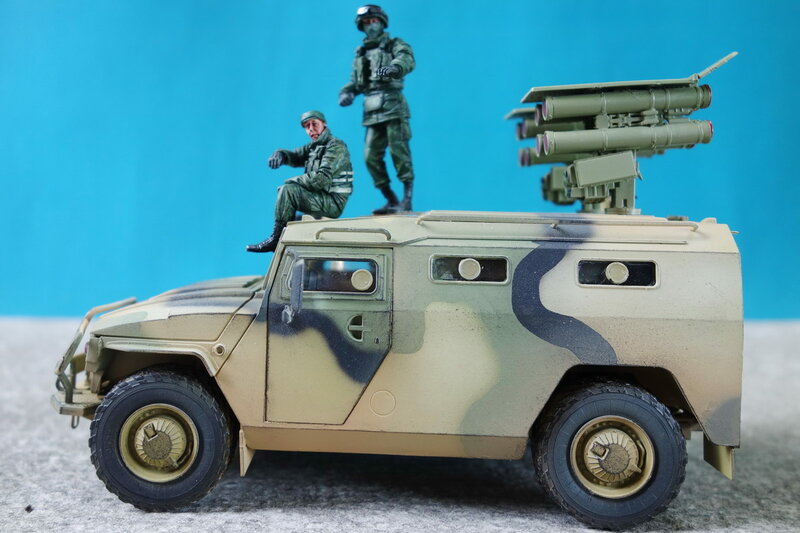 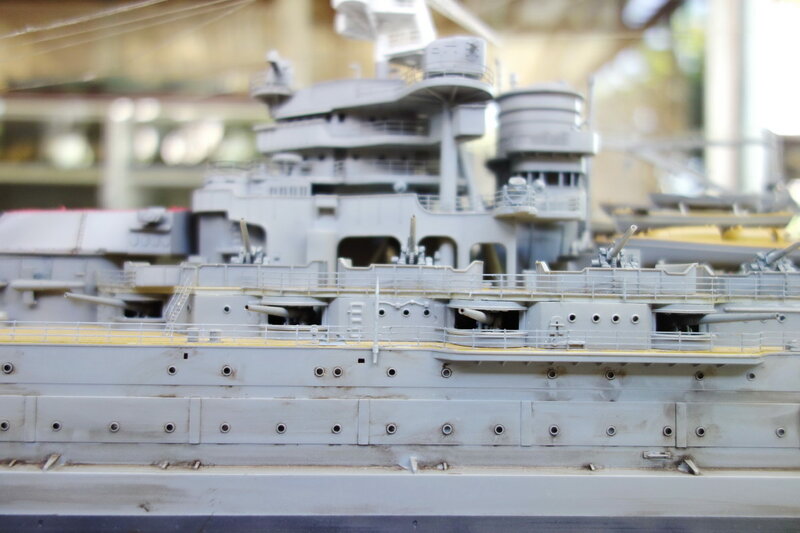 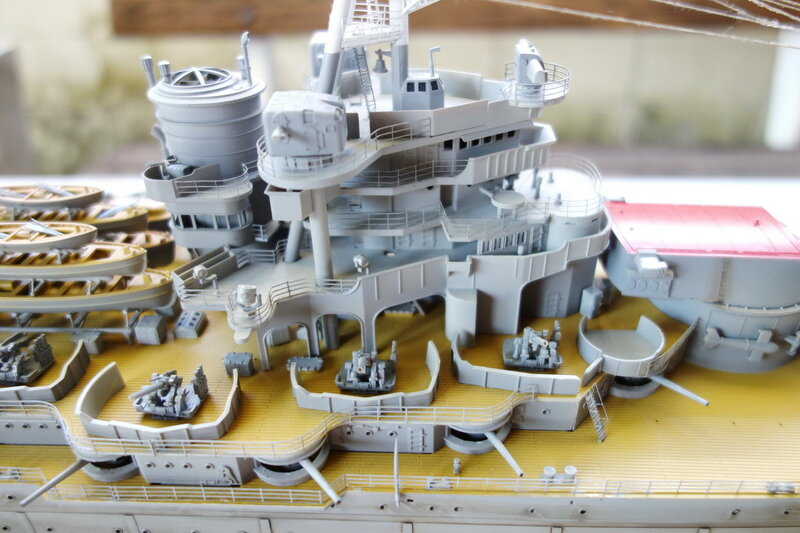 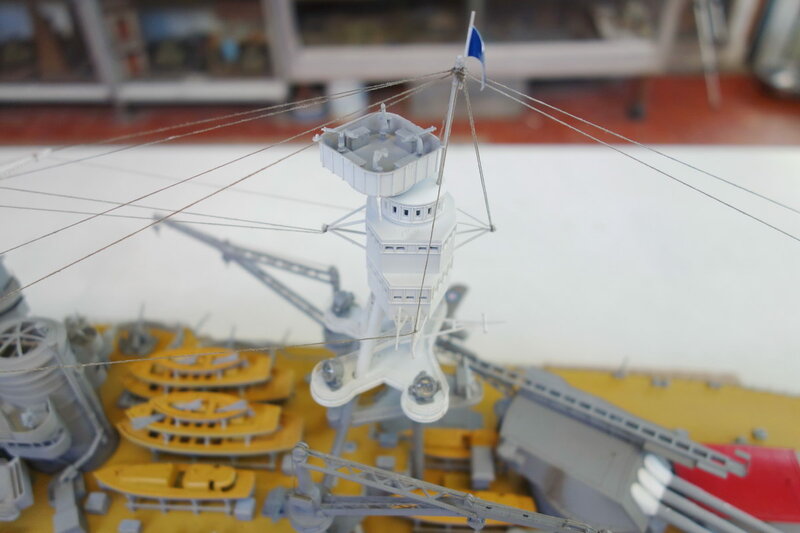 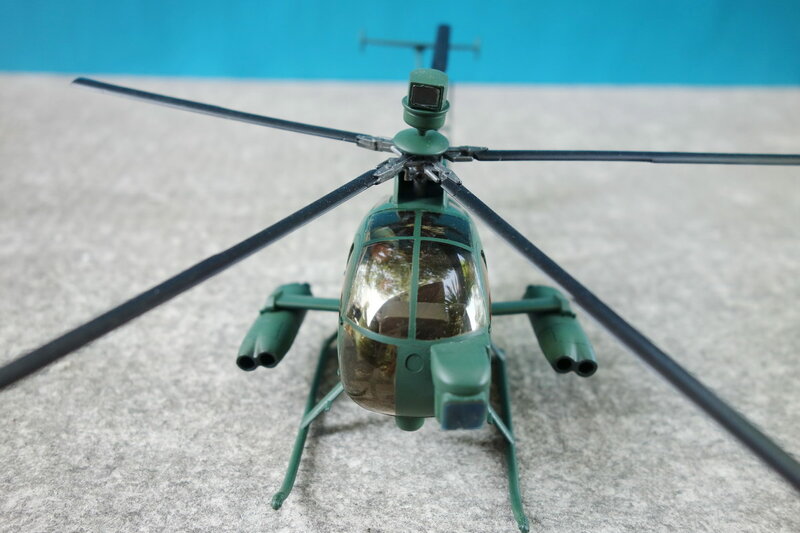 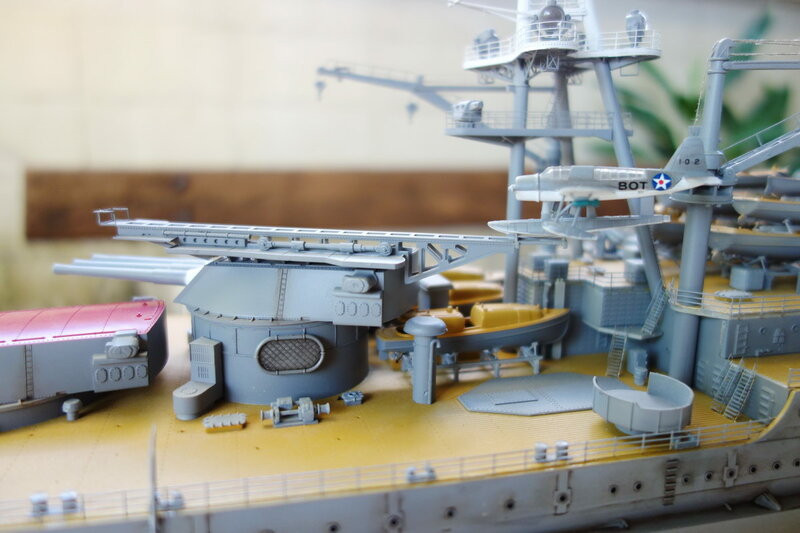 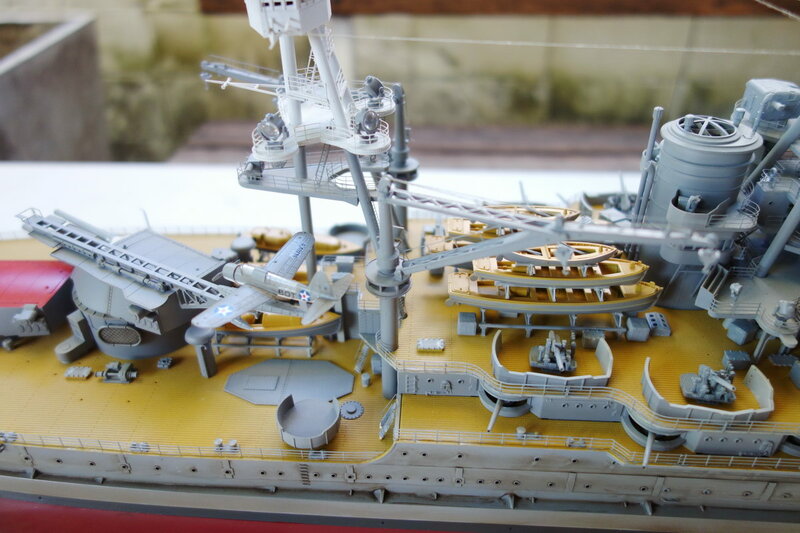 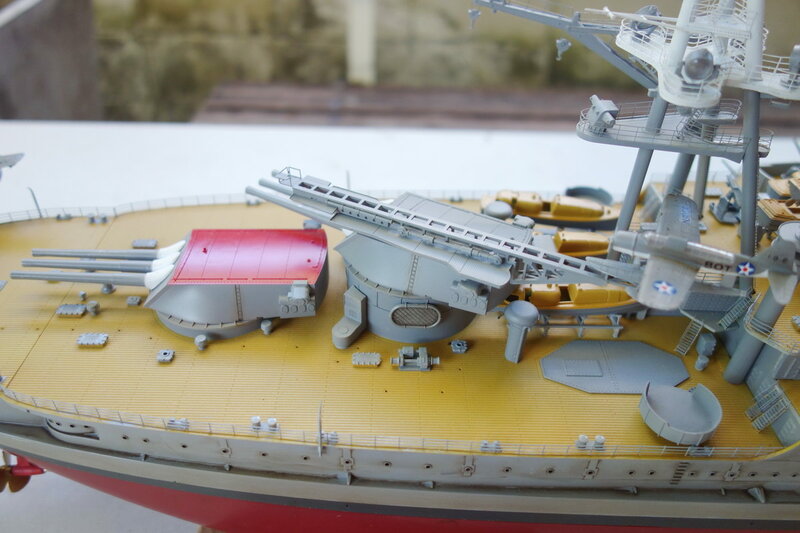 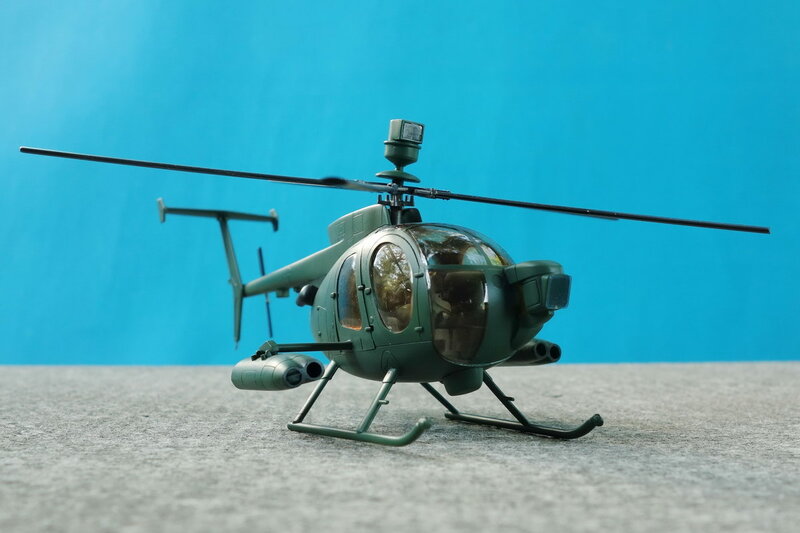 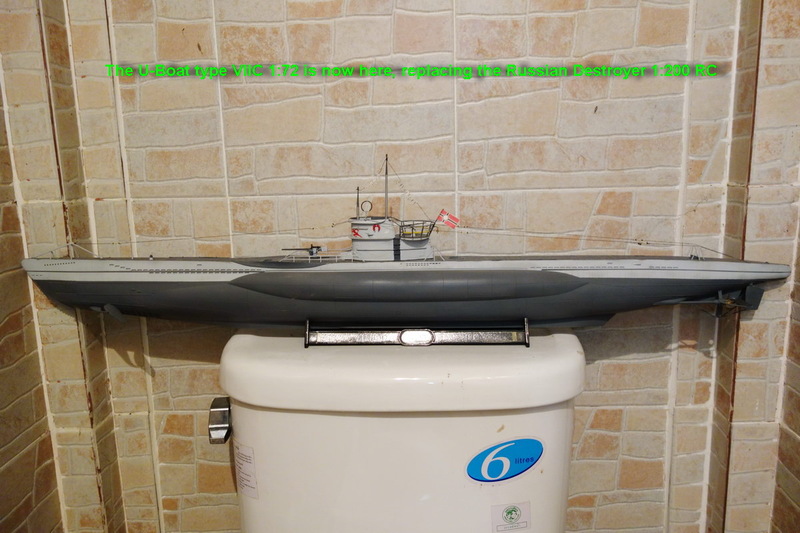 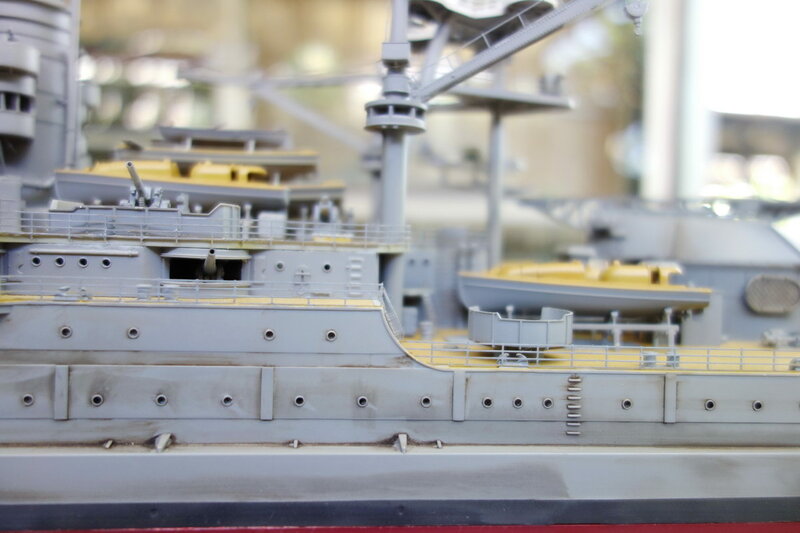 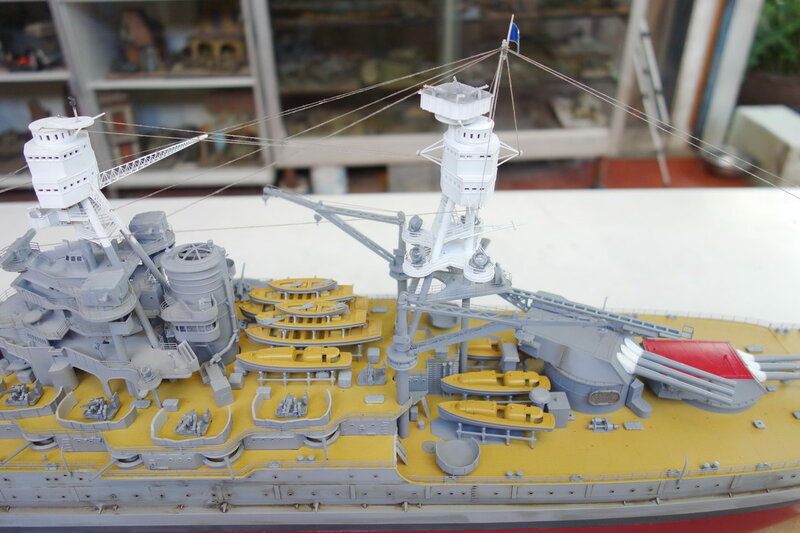 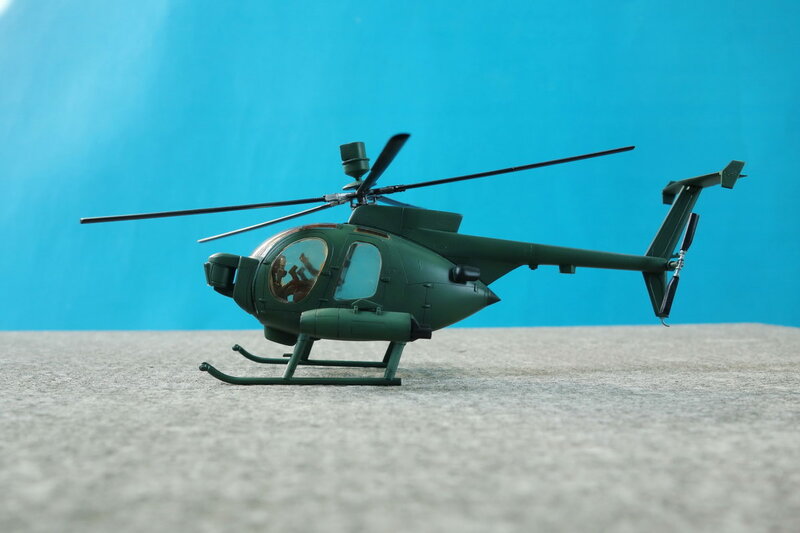 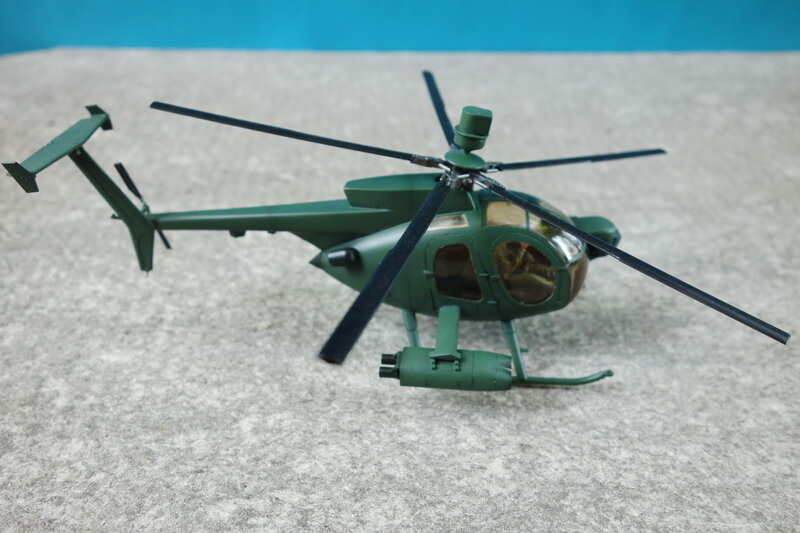 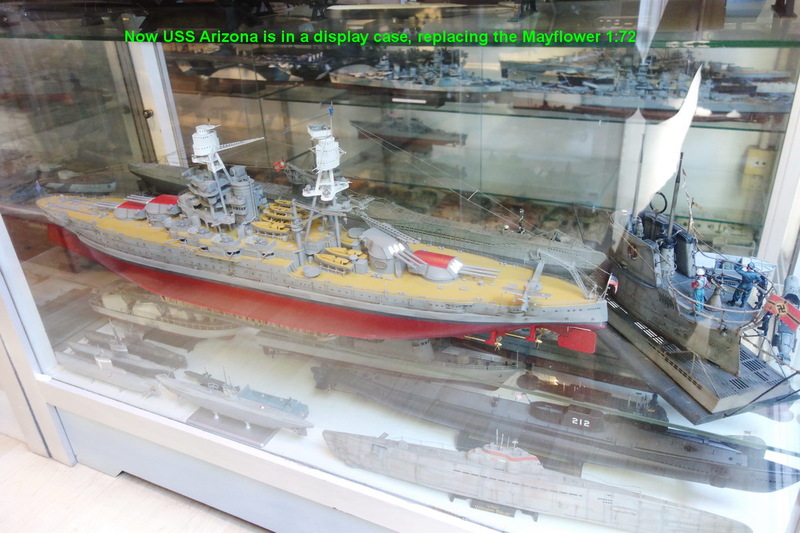 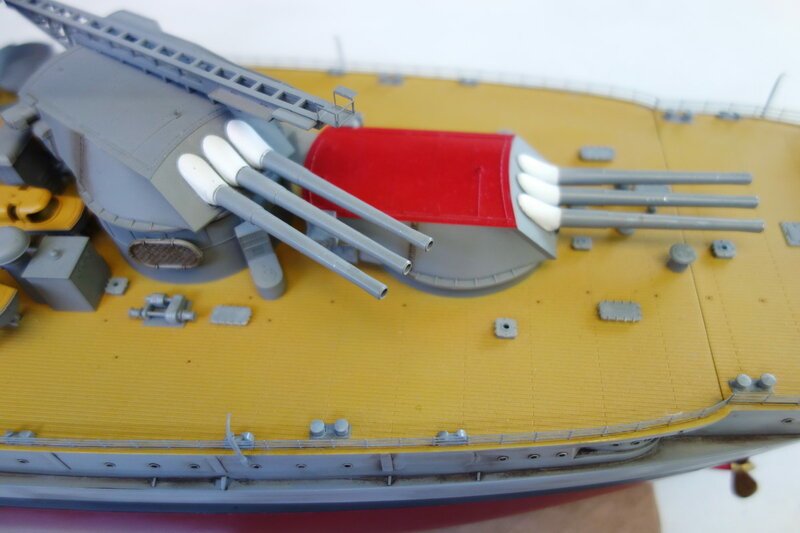 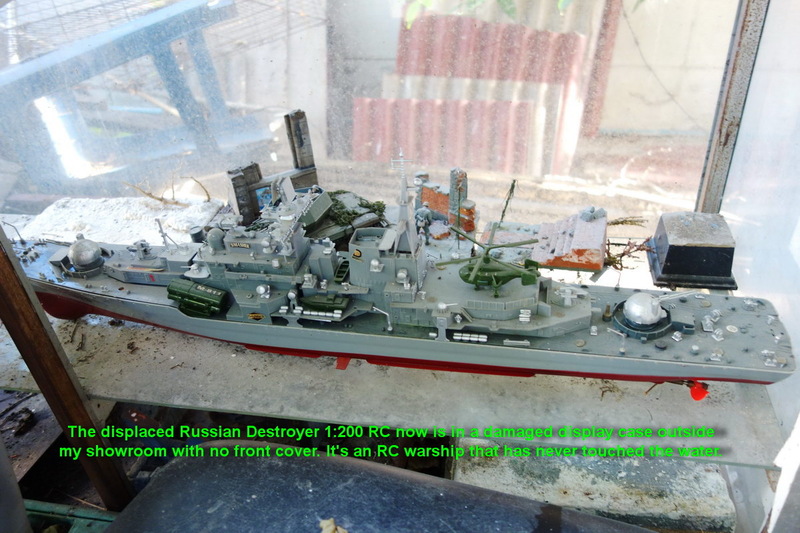 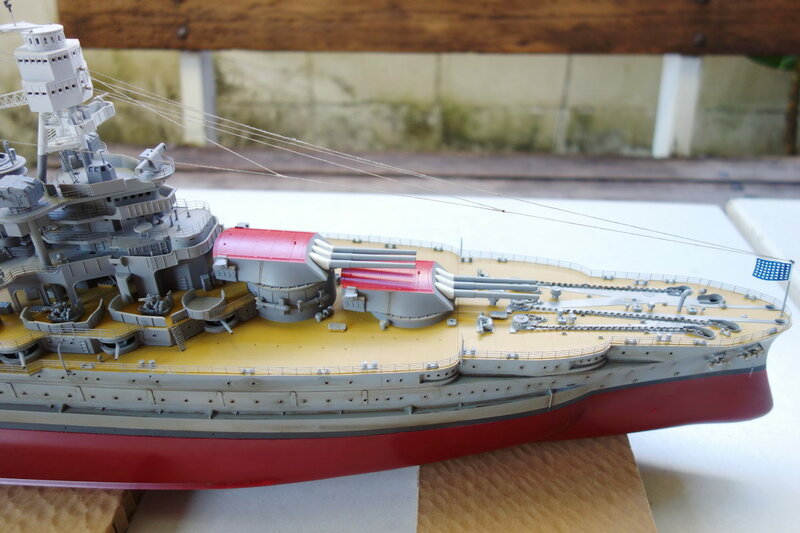 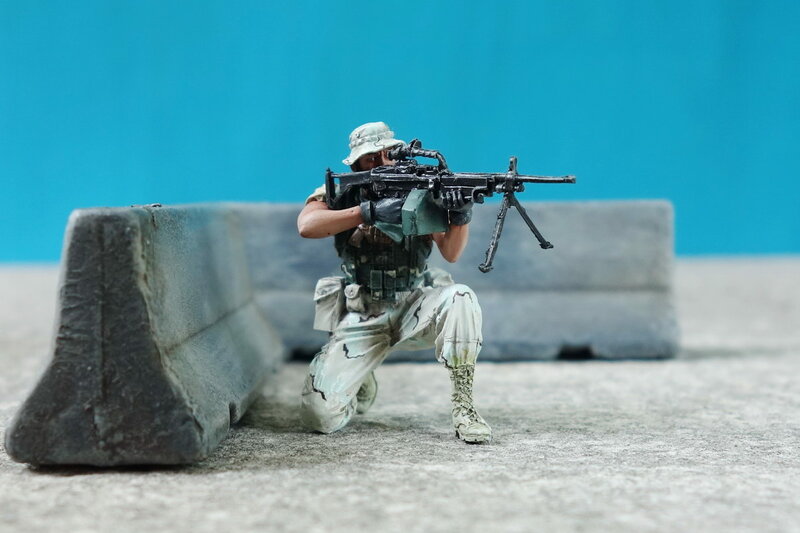 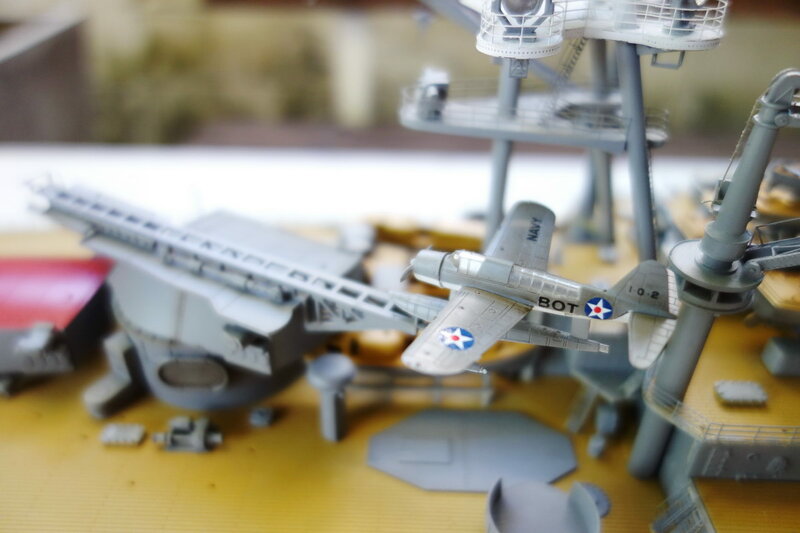 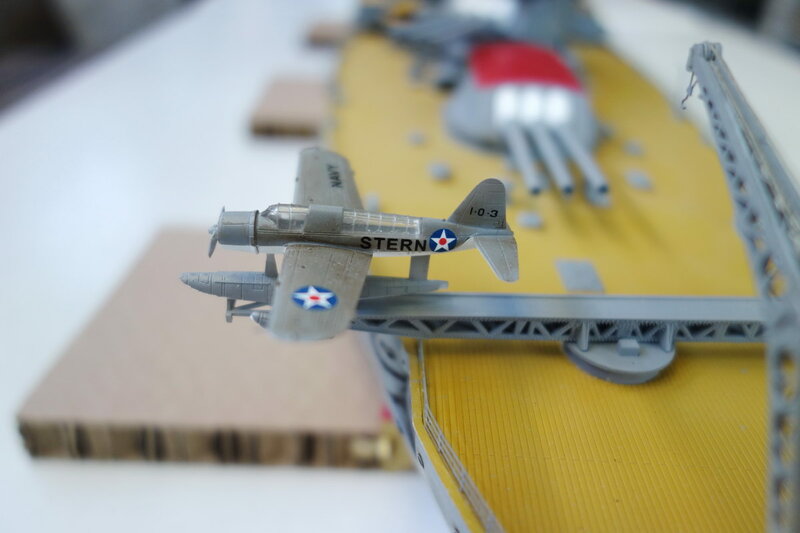 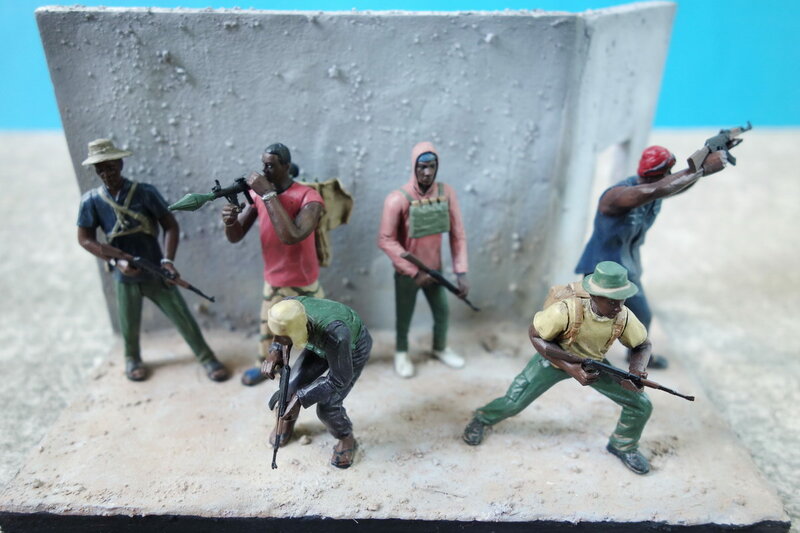 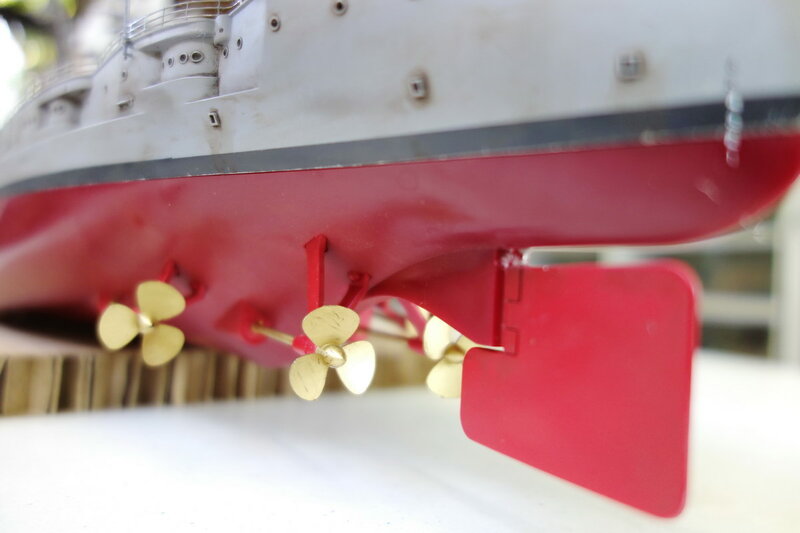 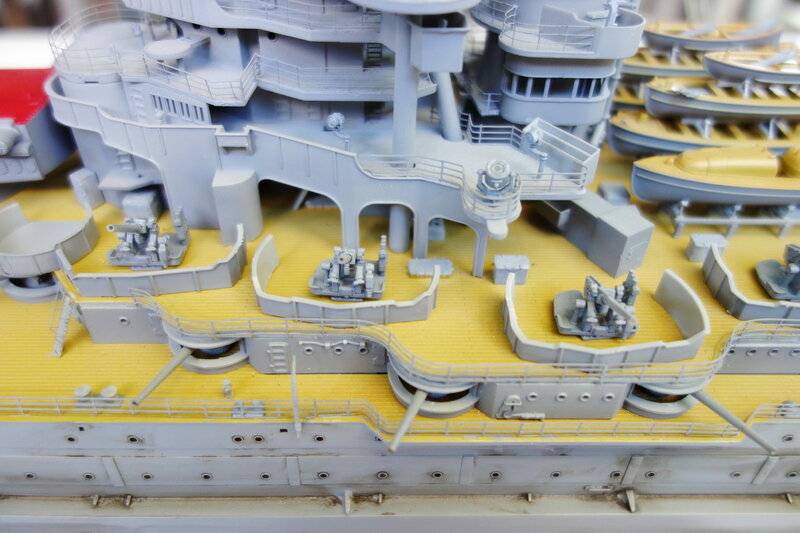 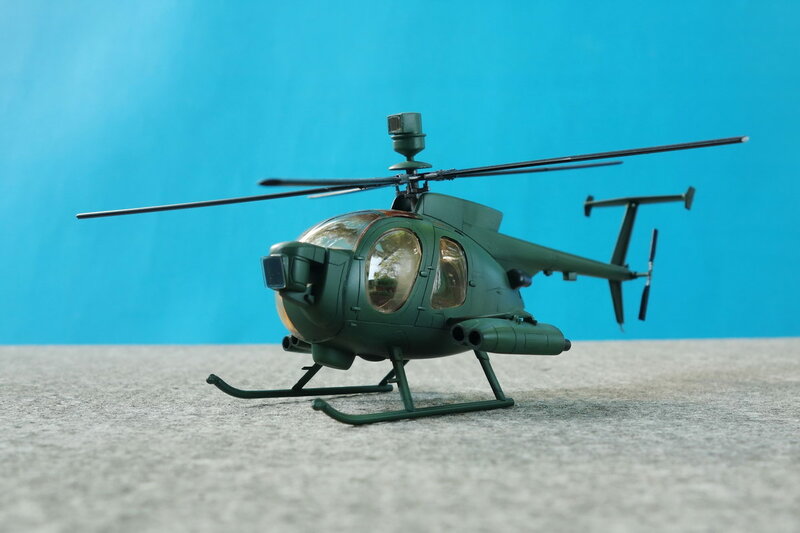 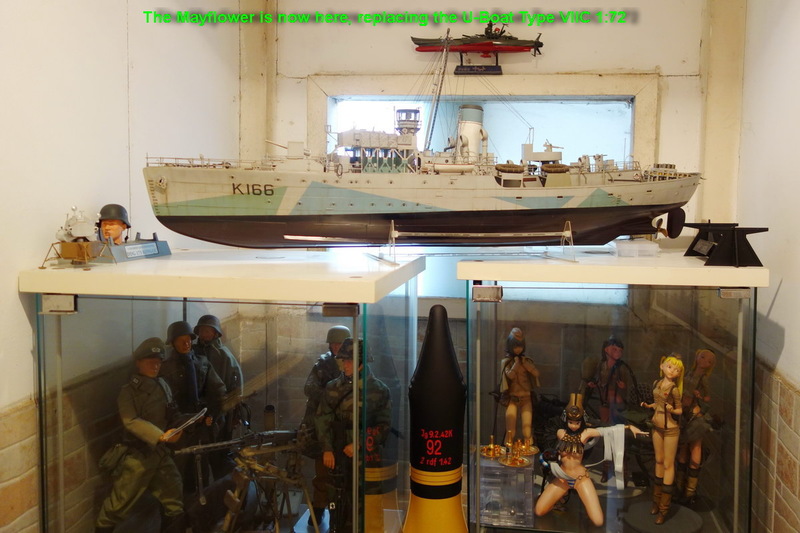 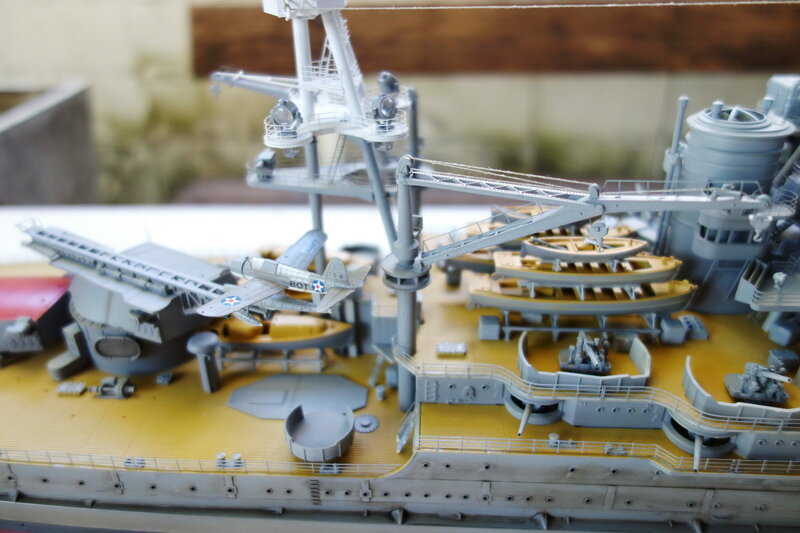 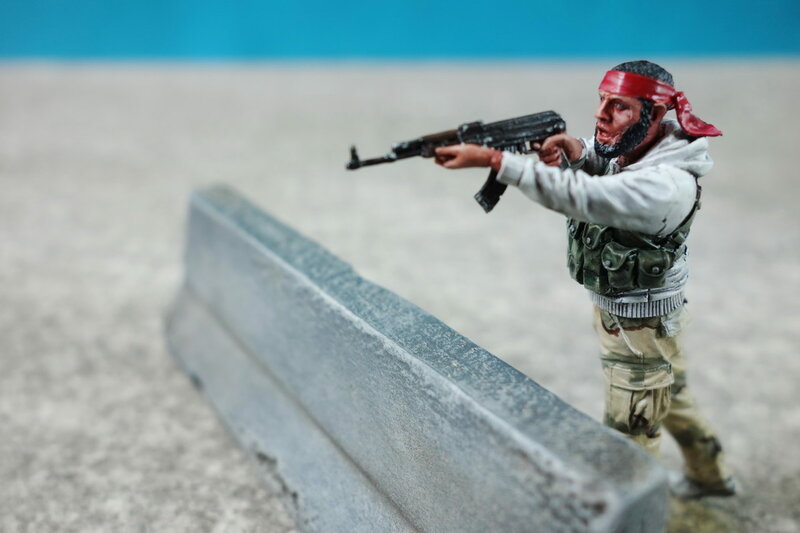 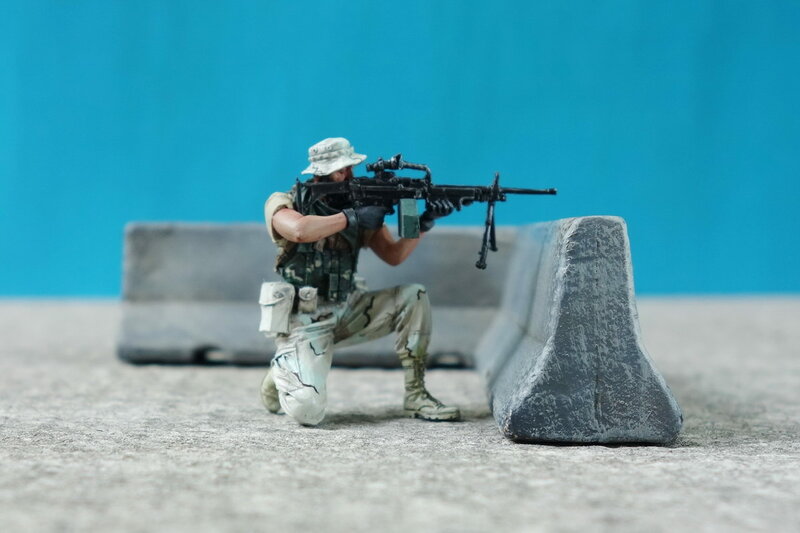 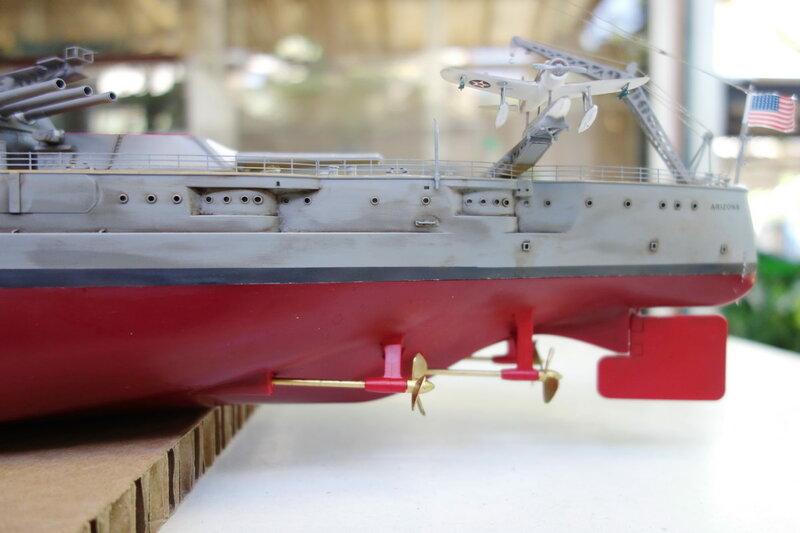 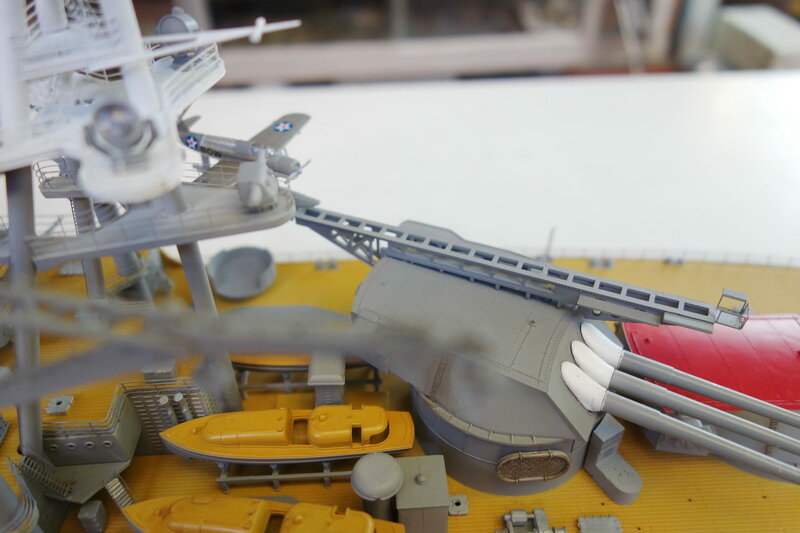 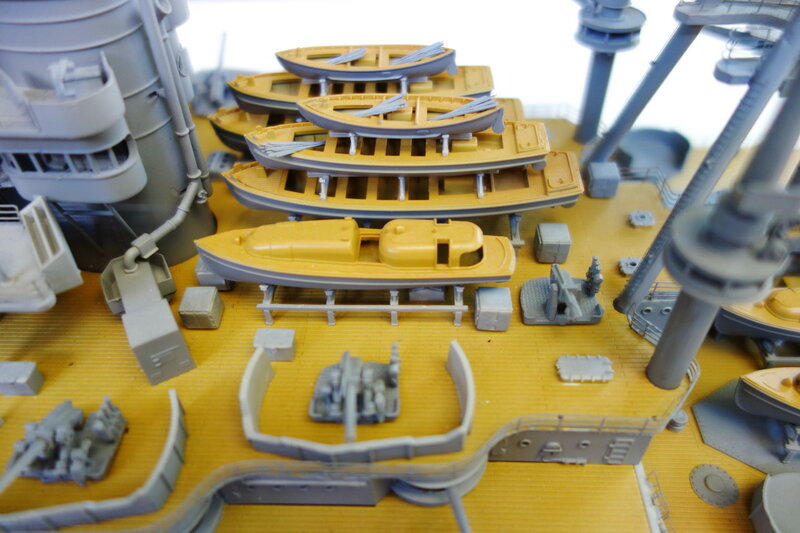 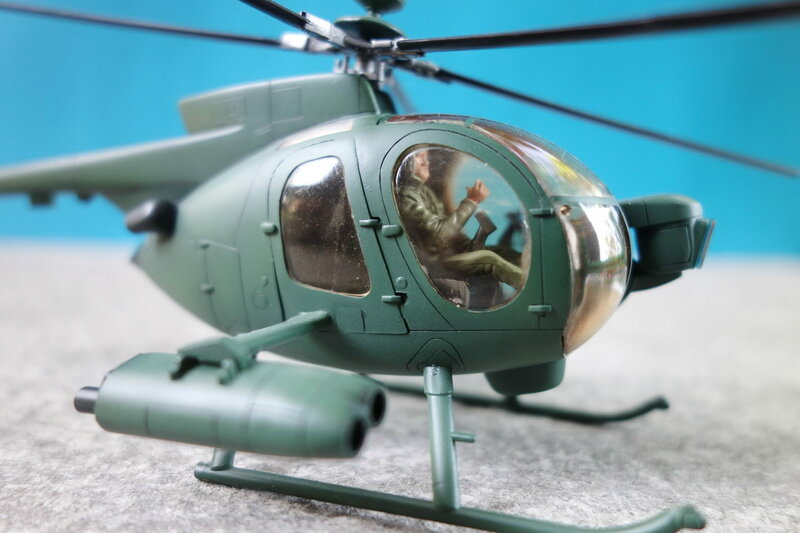 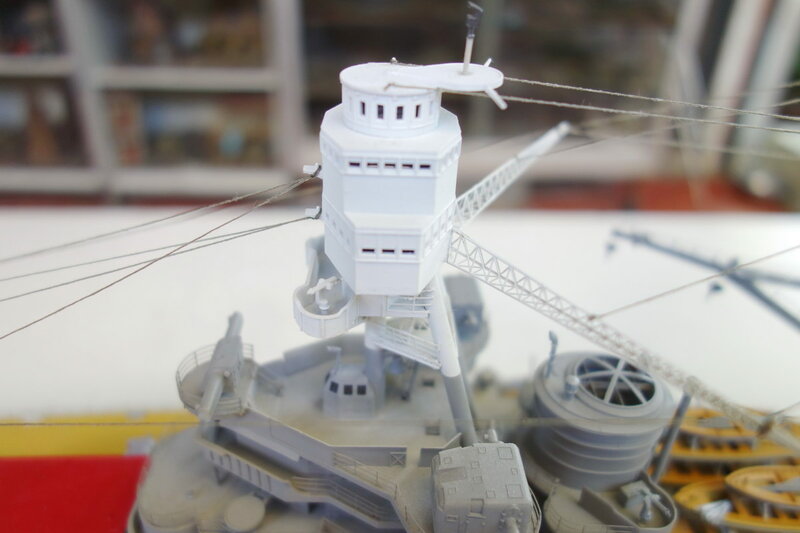 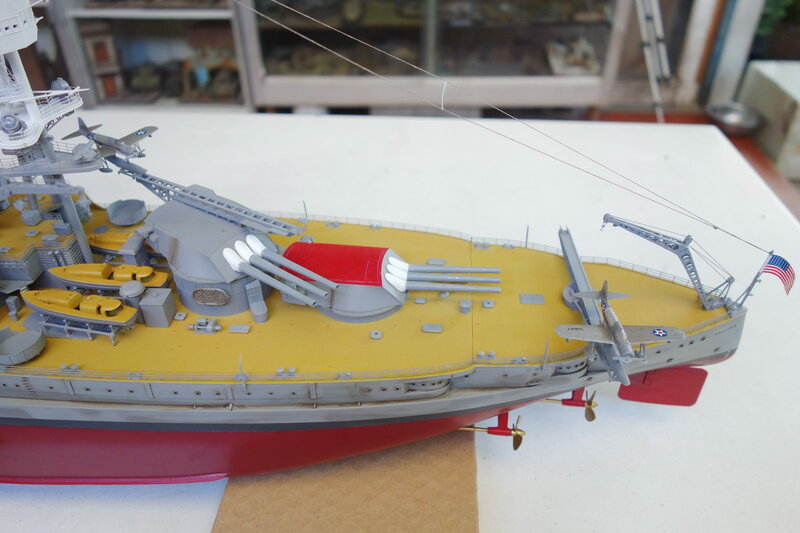 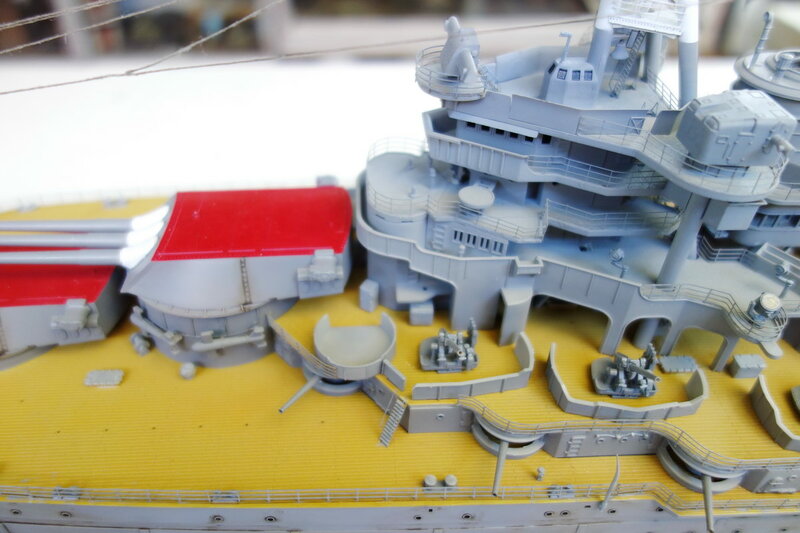 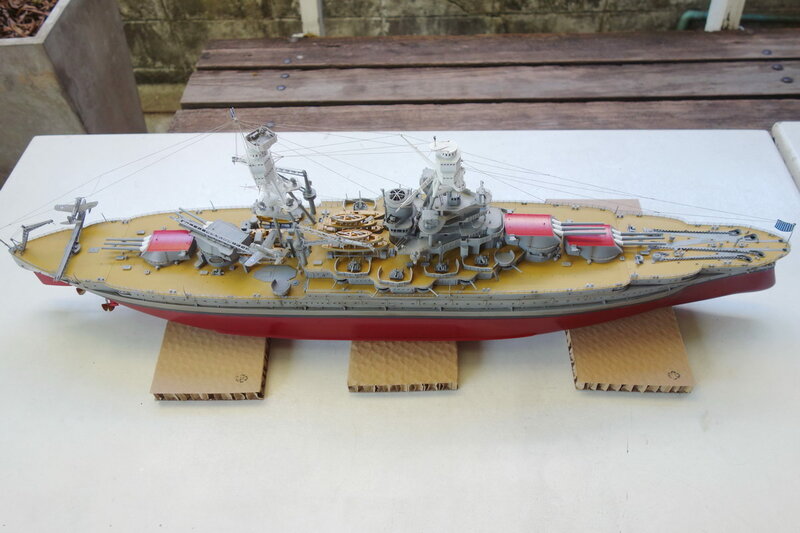 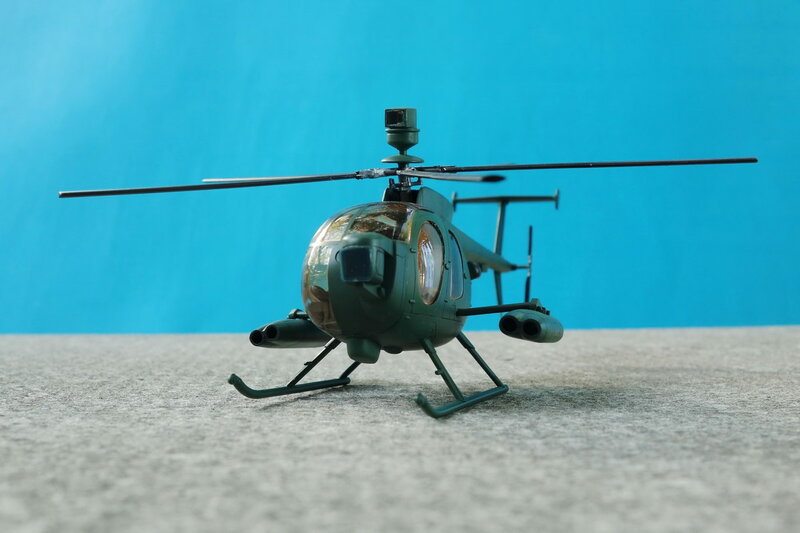 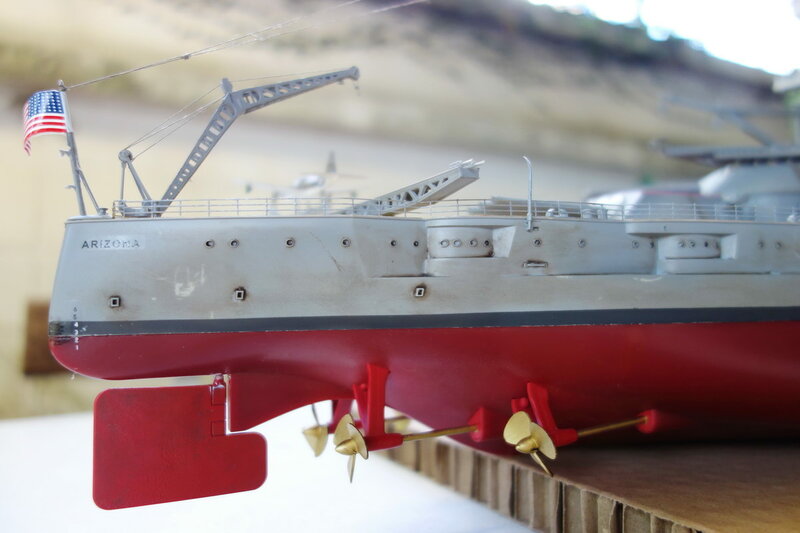 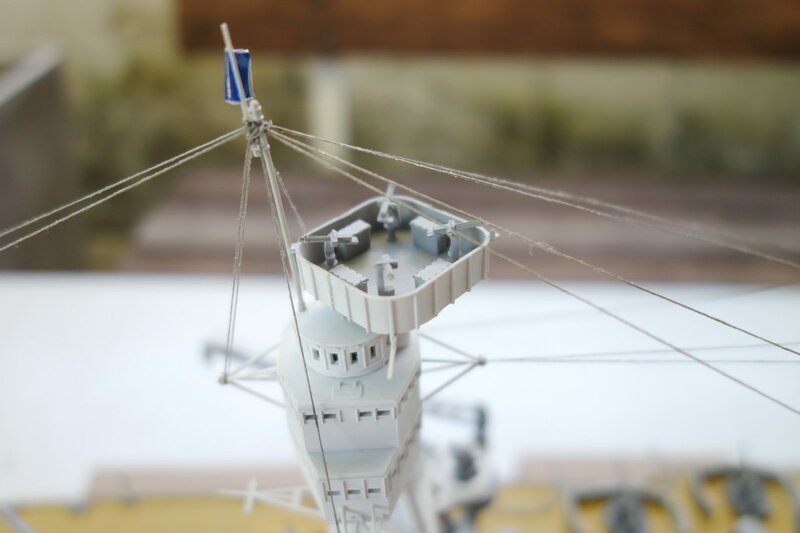 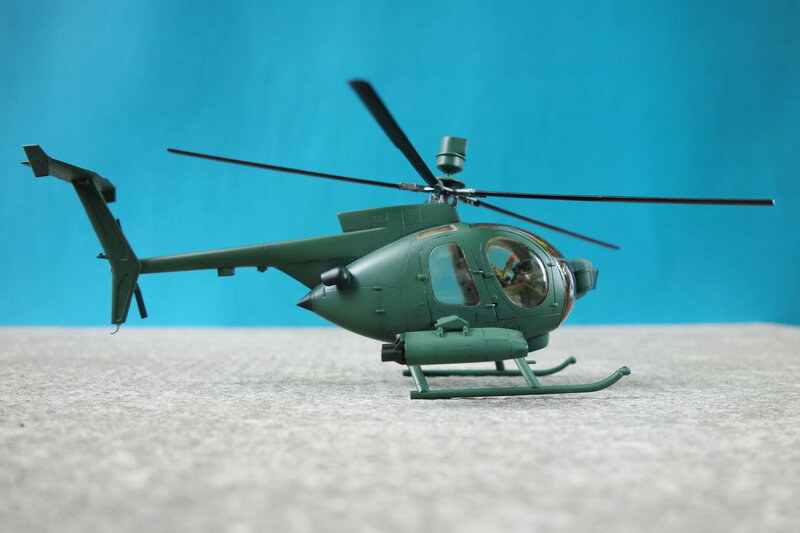 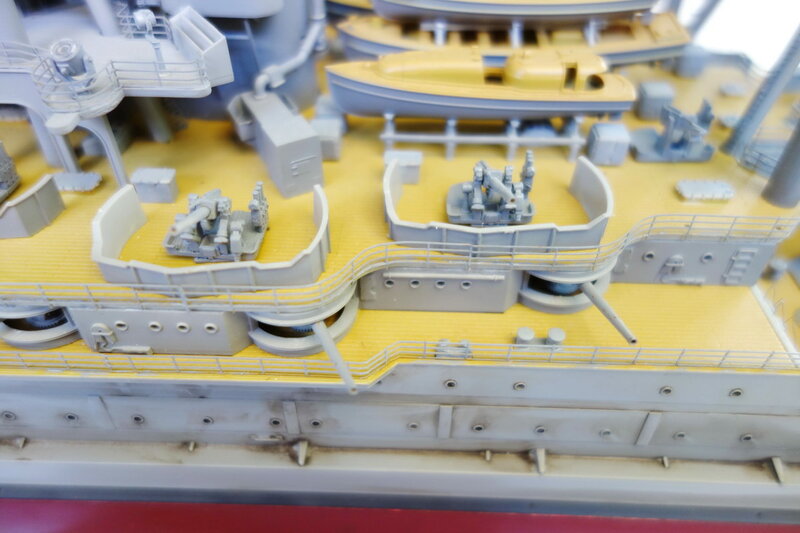 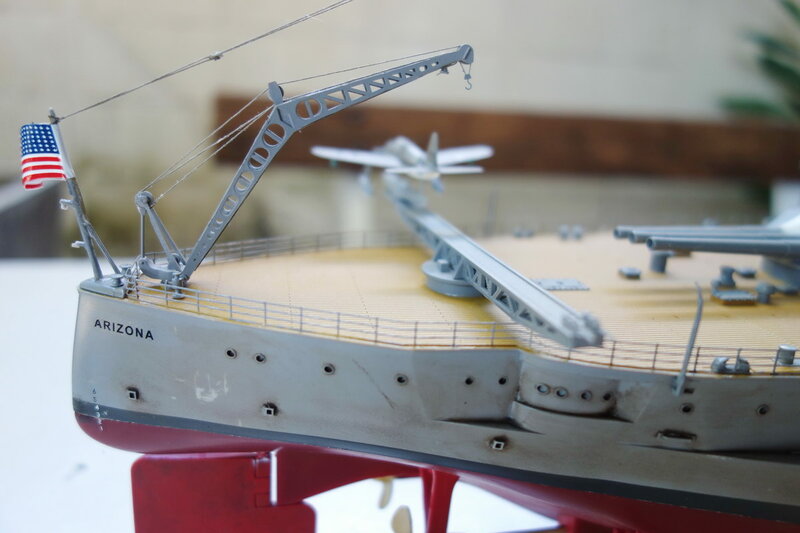 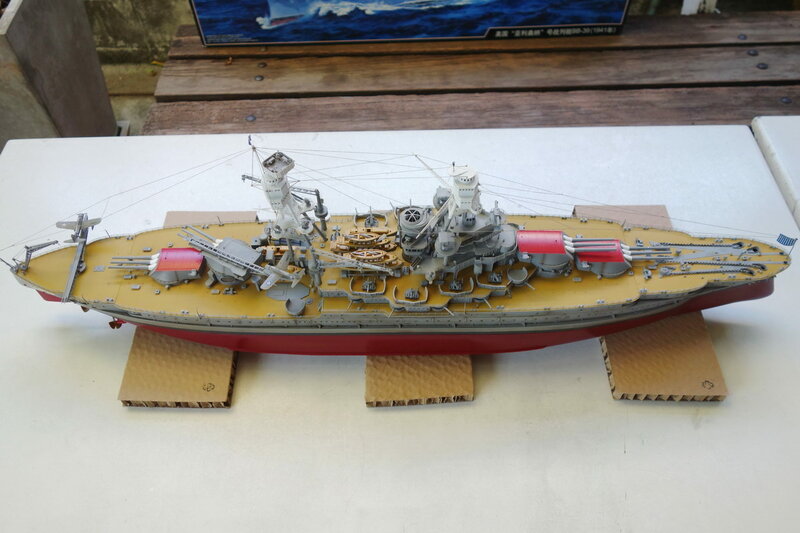 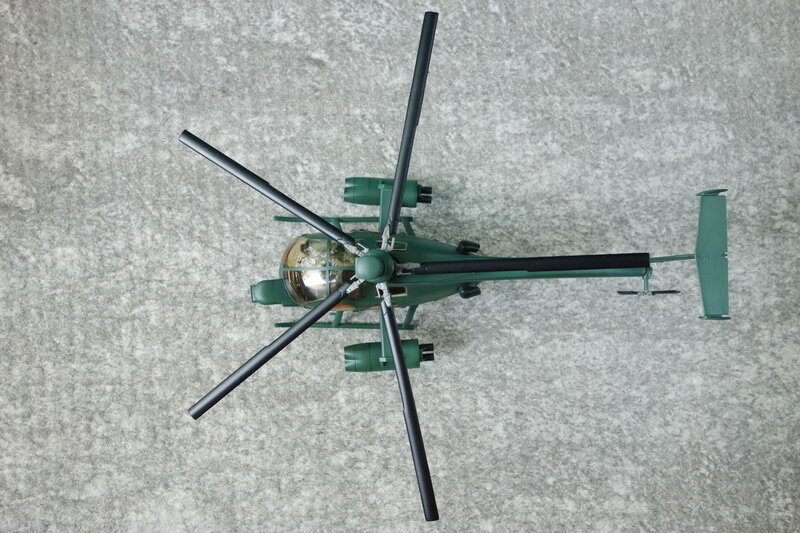 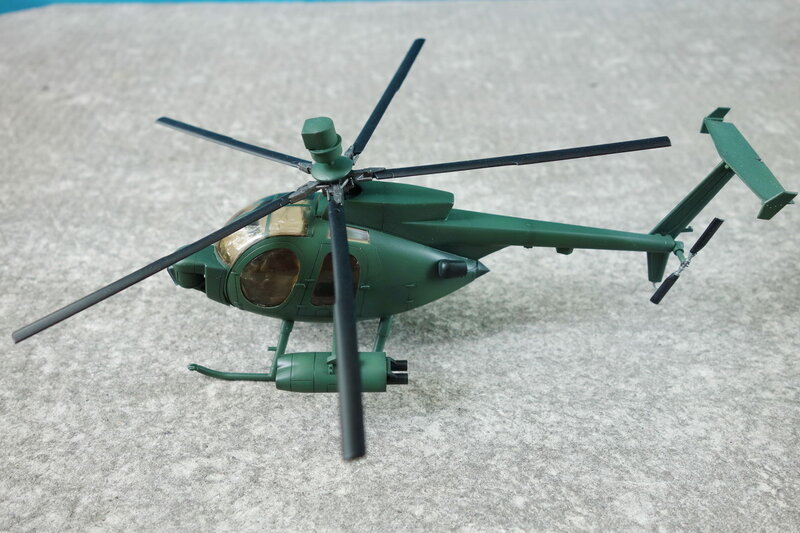 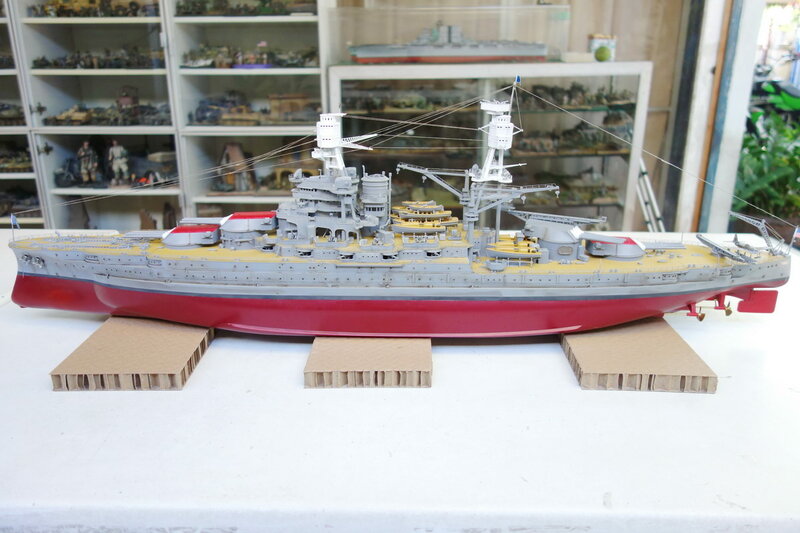 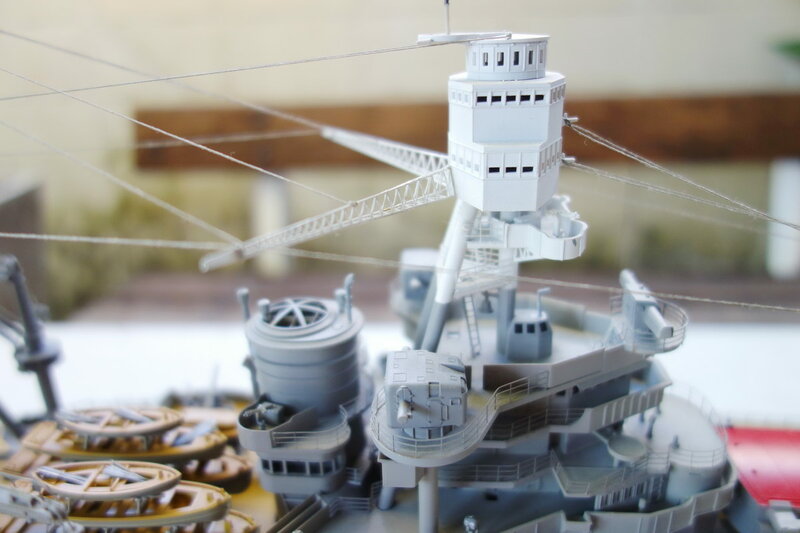 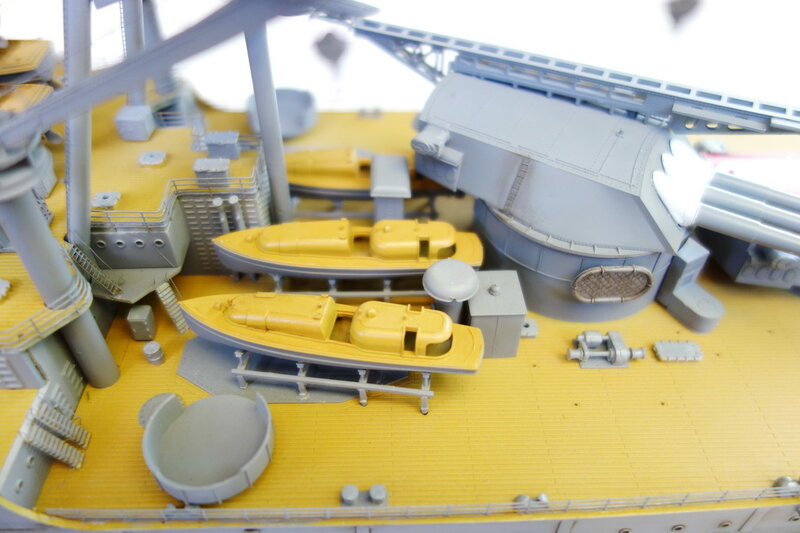 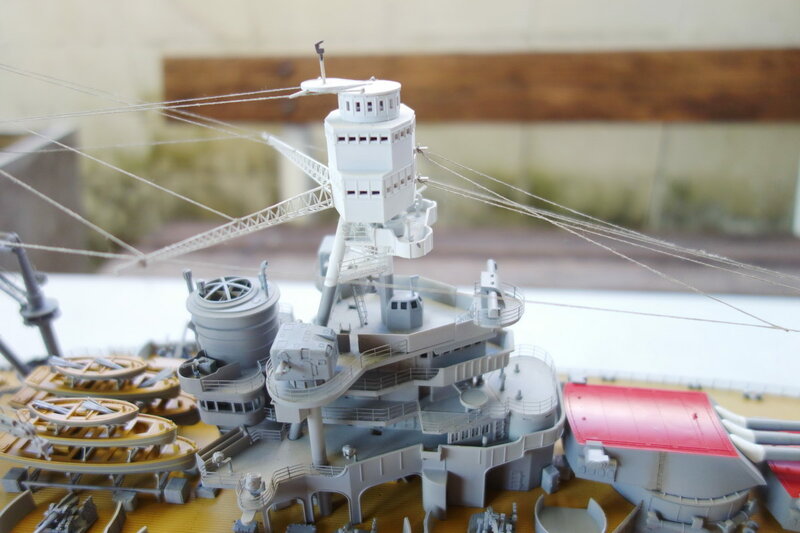 In short, "PJ" presents 6 resin figure sets 1:35, a diorama 1:35 and a combat helicopter 1:48, while "Nipon" presents a very big warship - the USS Arizona 1941 1:200. 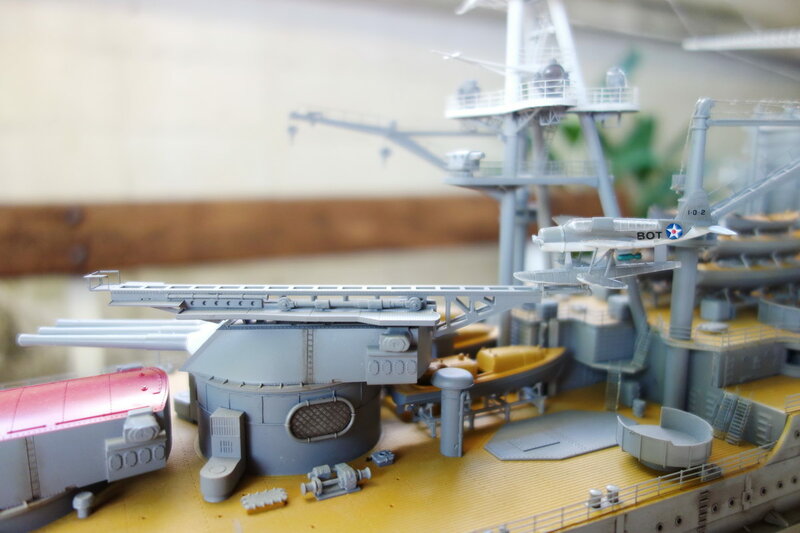 As always, I hope you'll enjoy viewing! 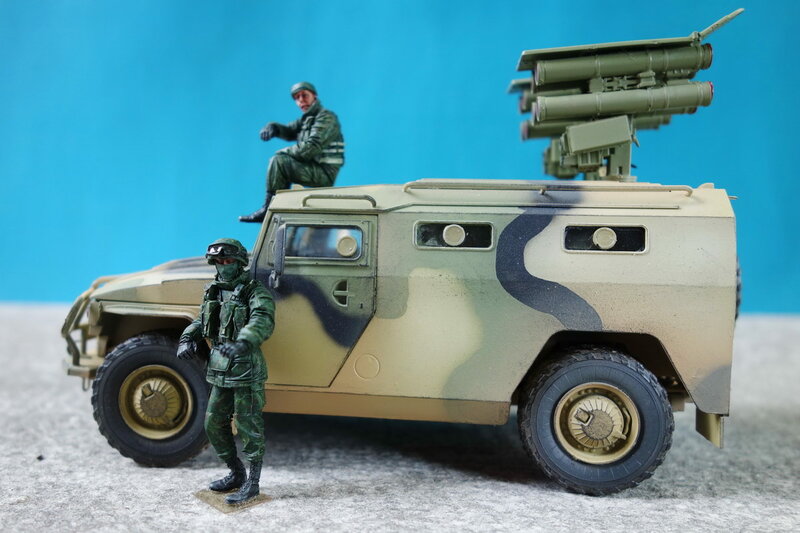 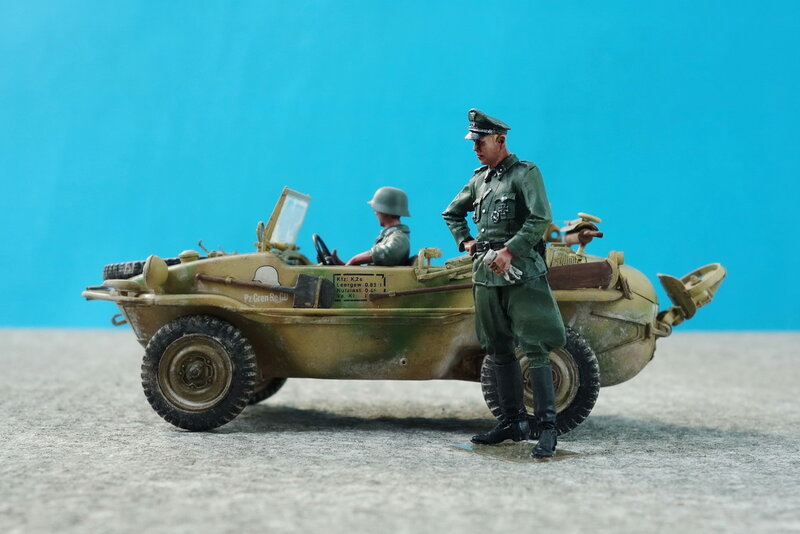 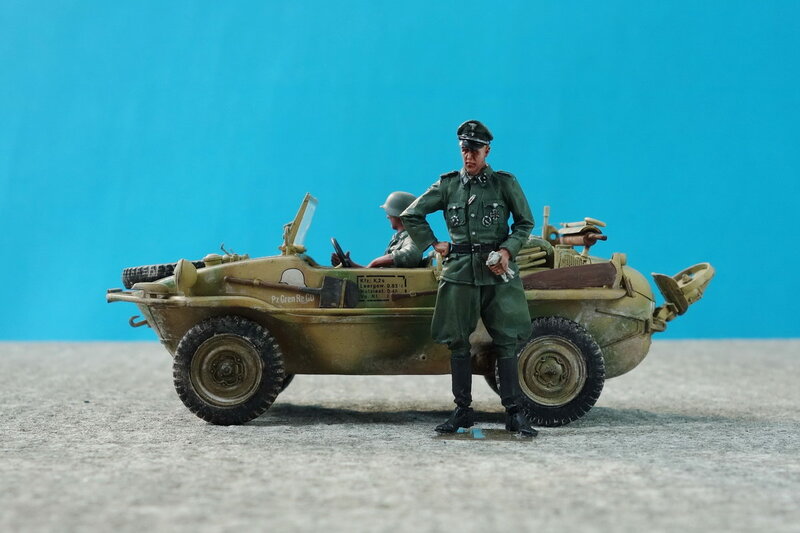 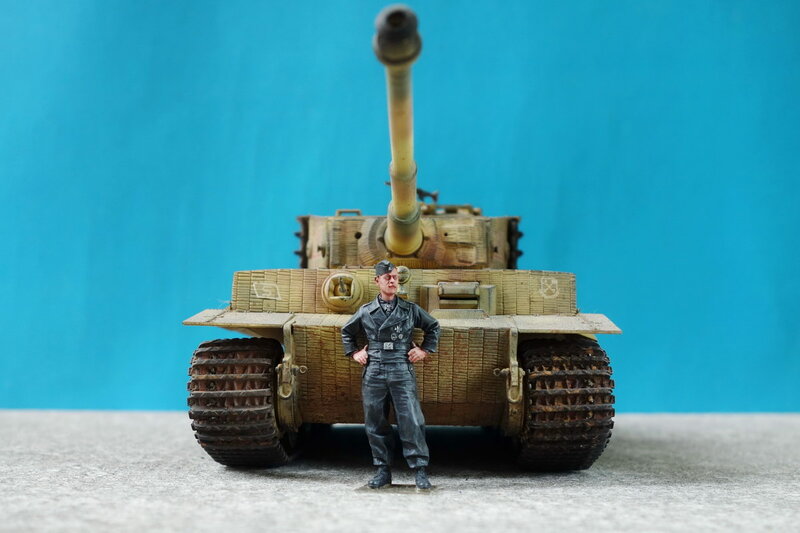 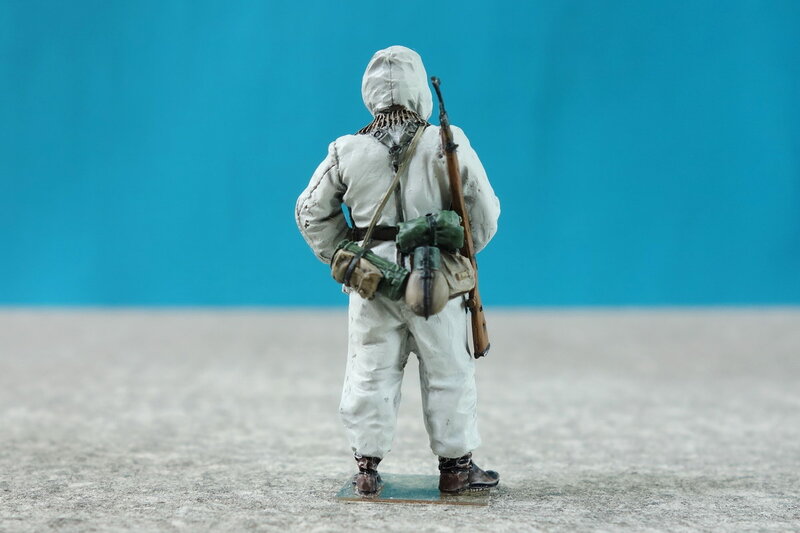 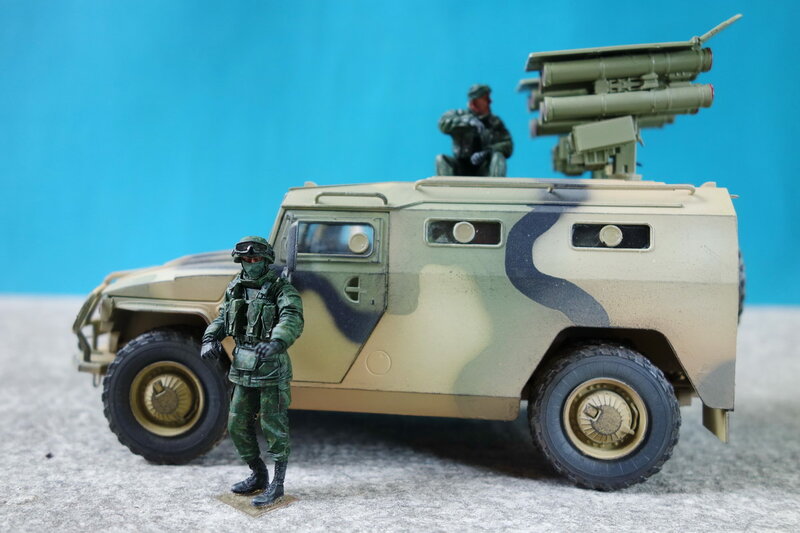 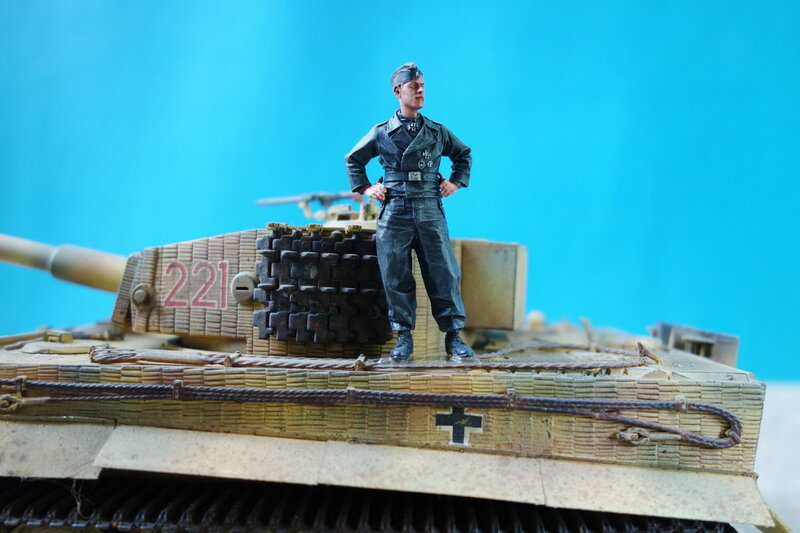 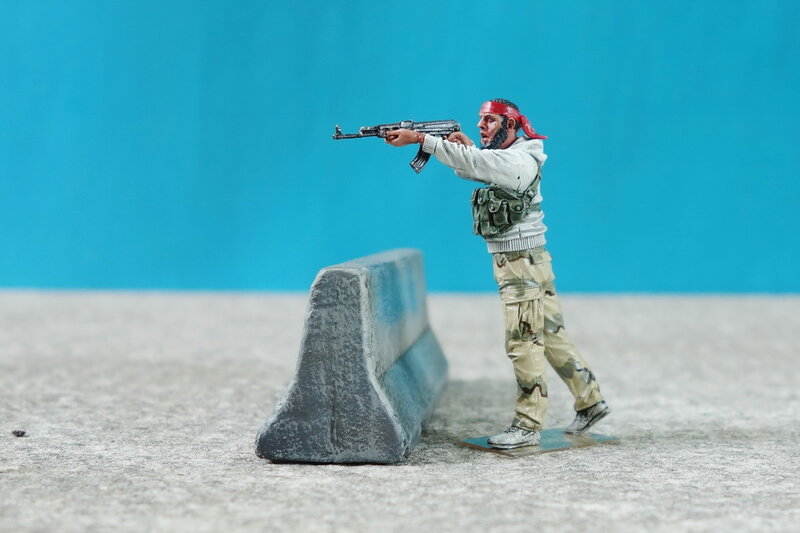 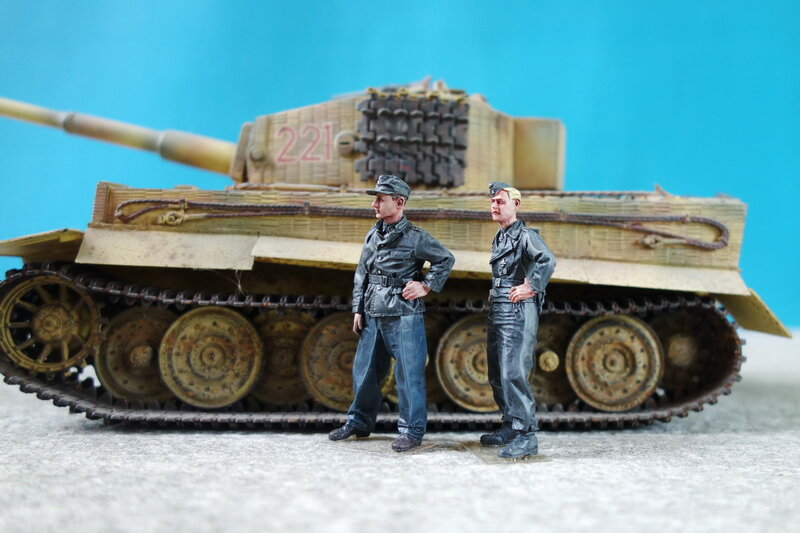 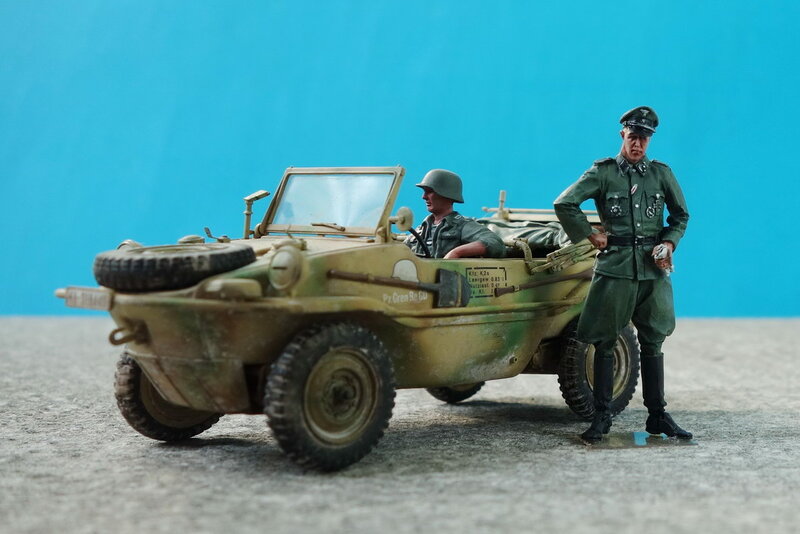 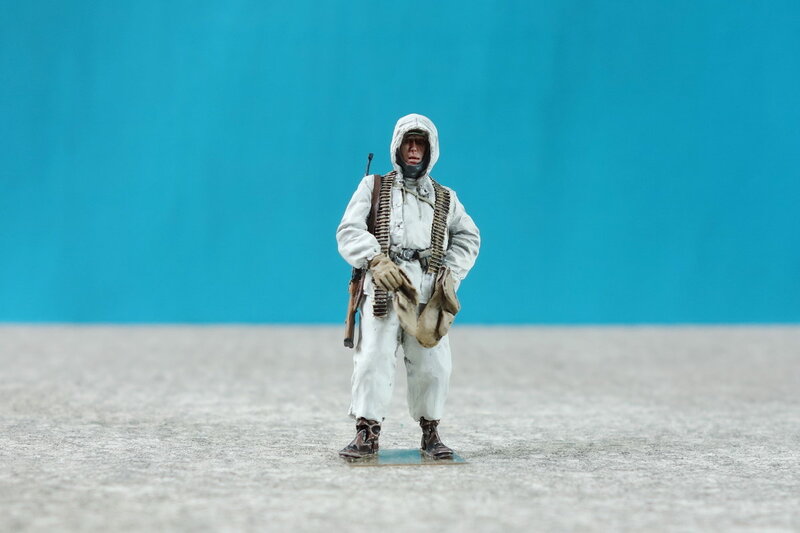 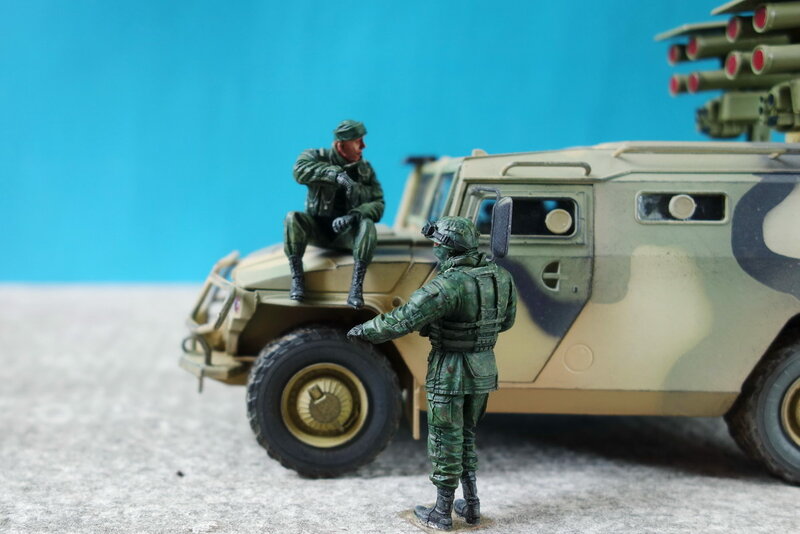 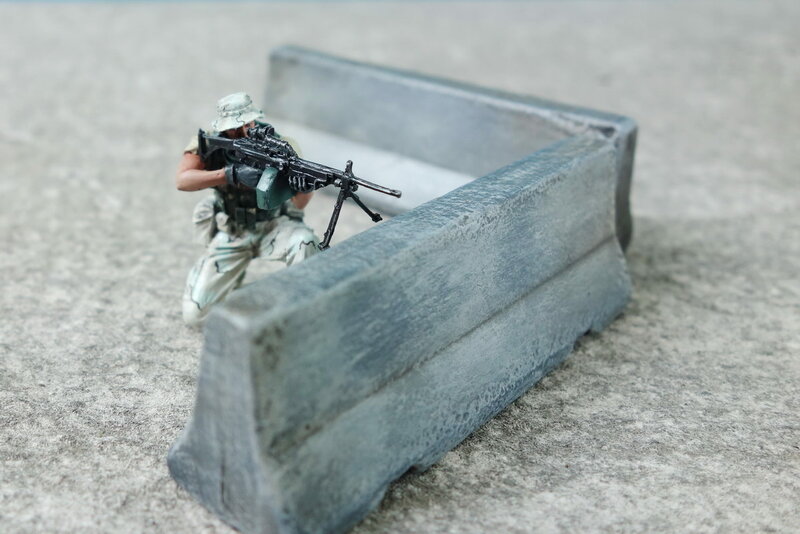 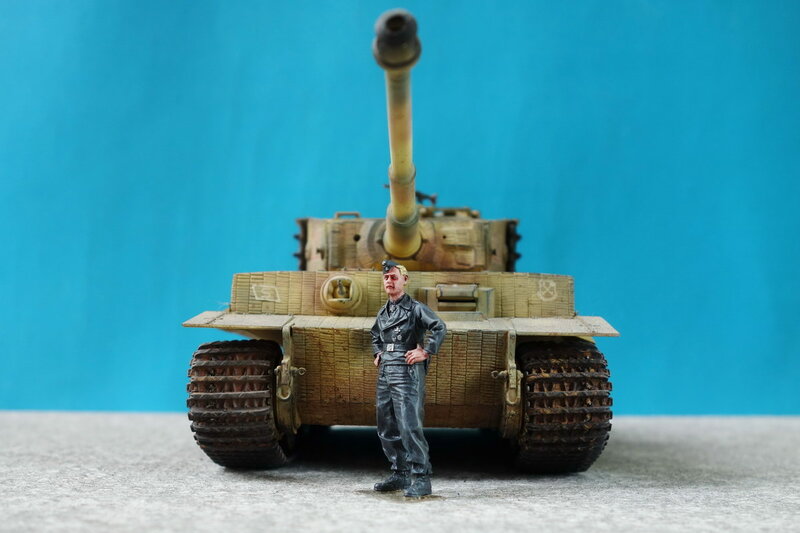 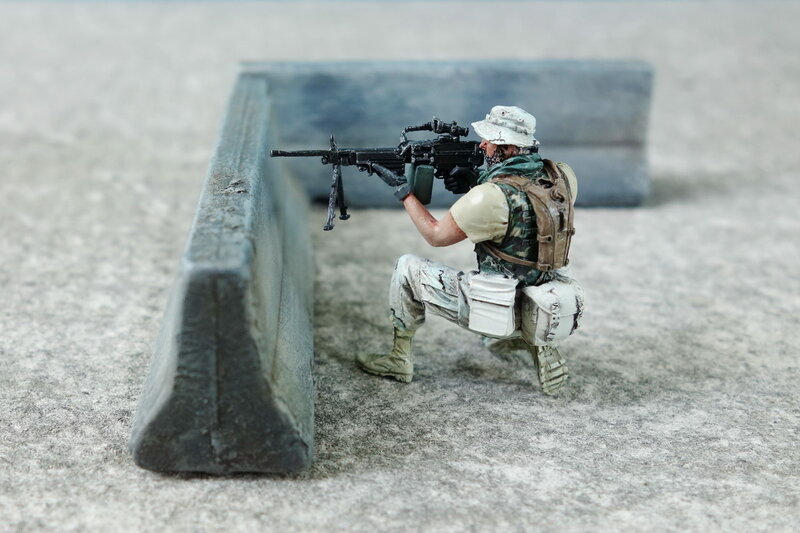 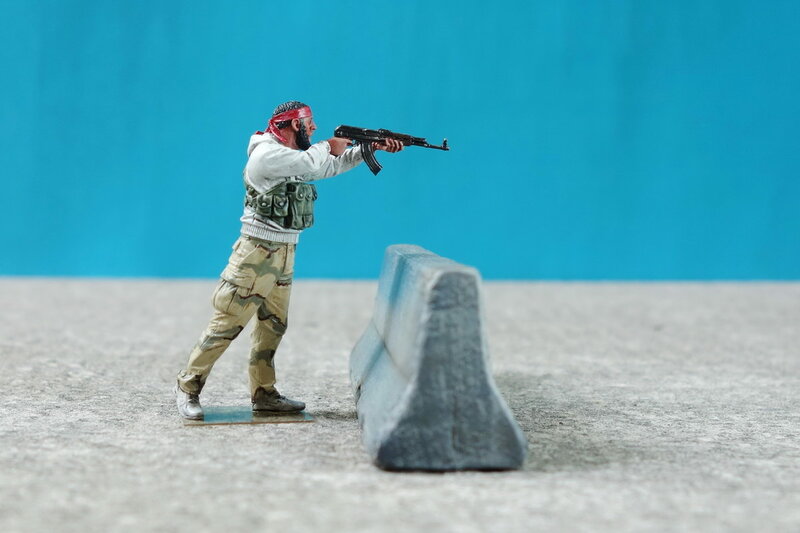 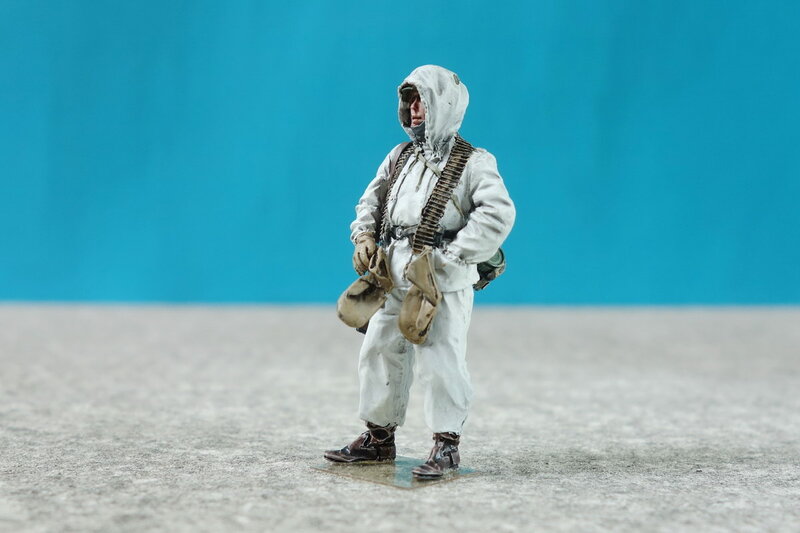 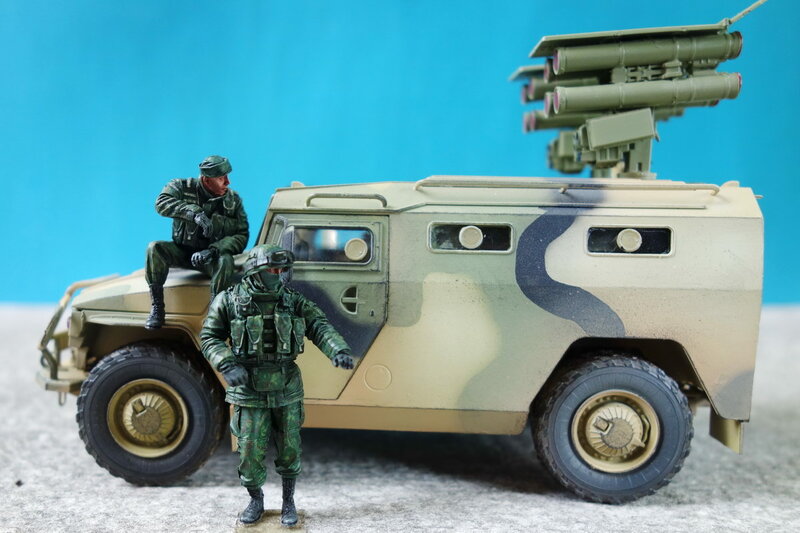 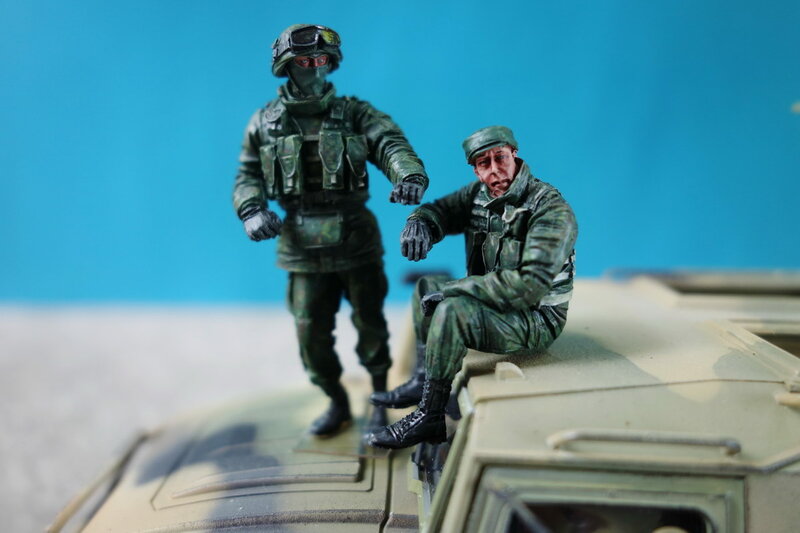 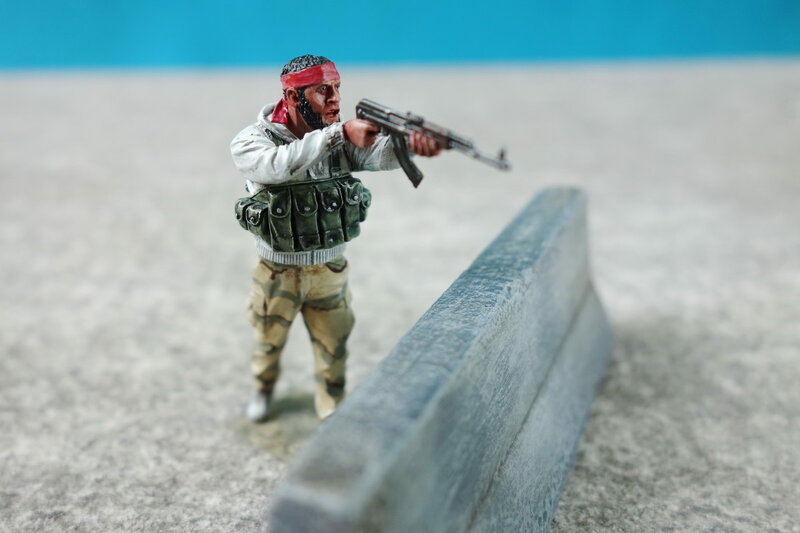 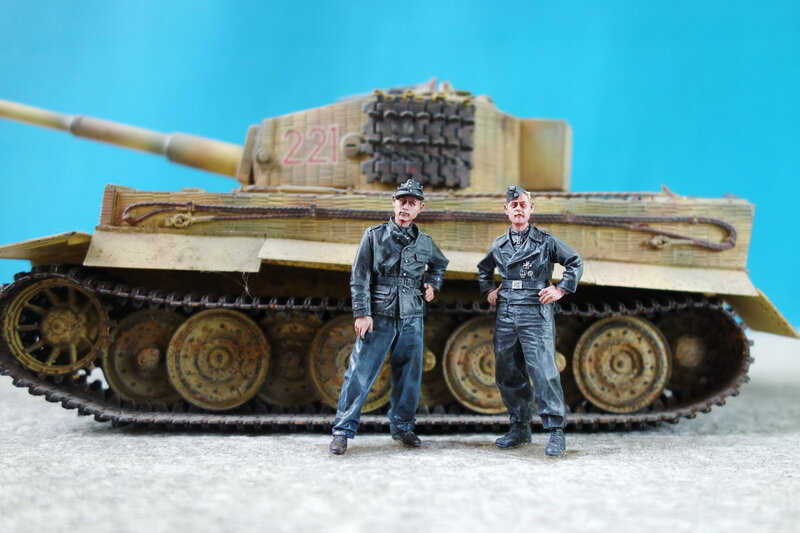 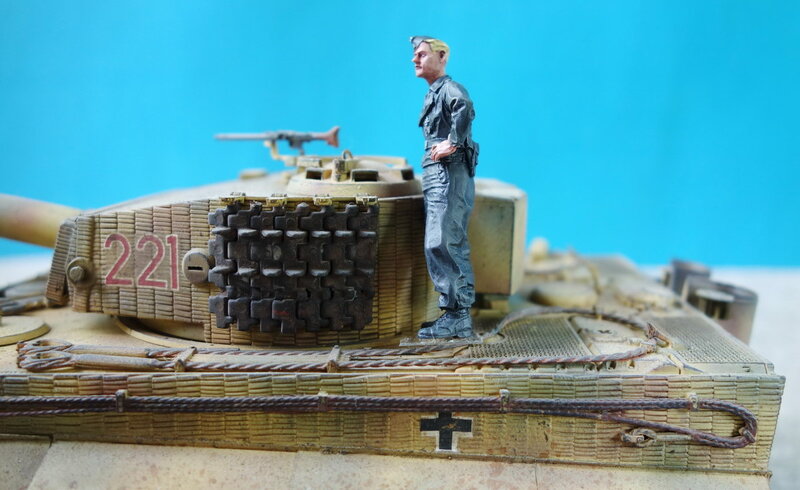 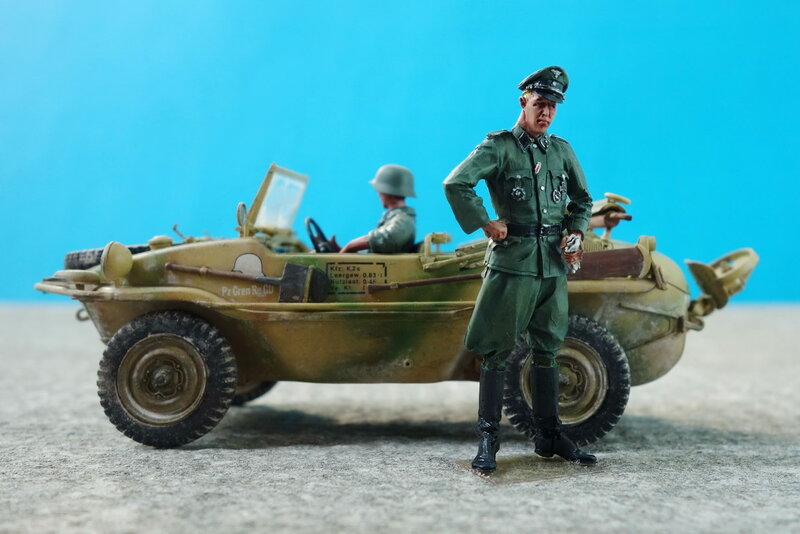 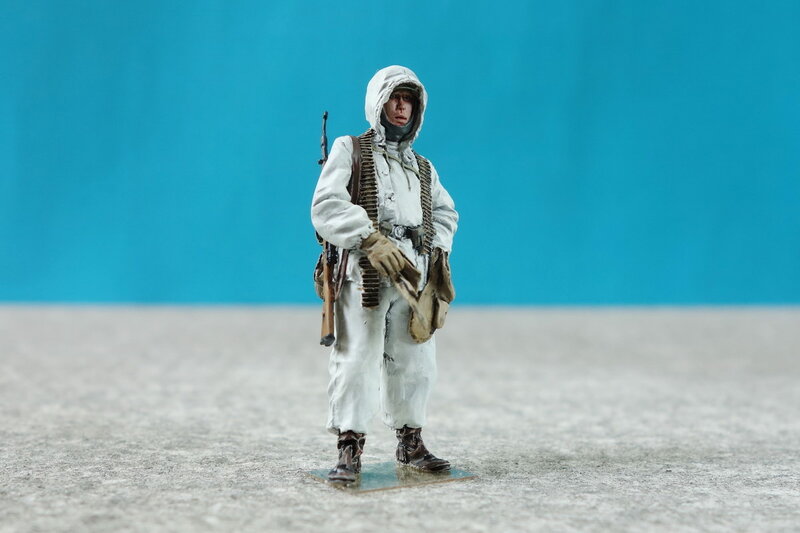 401 - 404 : German Officer WWII 1:35 (resin) - by "PJ"
405 - 408 : German Soldier, Kharkov 1943 1:35 (resin) - by "PJ"
409 - 414 : Tiger Ace In Normandy 1944 #2 1:35 (resin) - by "PJ"
415 - 418 : Arab Rebel 1:35 (resin) - by "PJ"
419 - 422 : U.S. Special Force Operator Set 3 1:35 (resin) - by "PJ"
423 - 428 : Crews of GAZ-233014 "Tiger" 1:35 (resin) - by "PJ"
429 - 436 : Diorama "African Freedom Fighters" using Trumpeter's Figure Set - by "PJ"
437 - 446 : Academy's Hughes 500D TOW Helicopter 1:48 - by "PJ"
447 - 512 : Trumpeter's U.S.S. 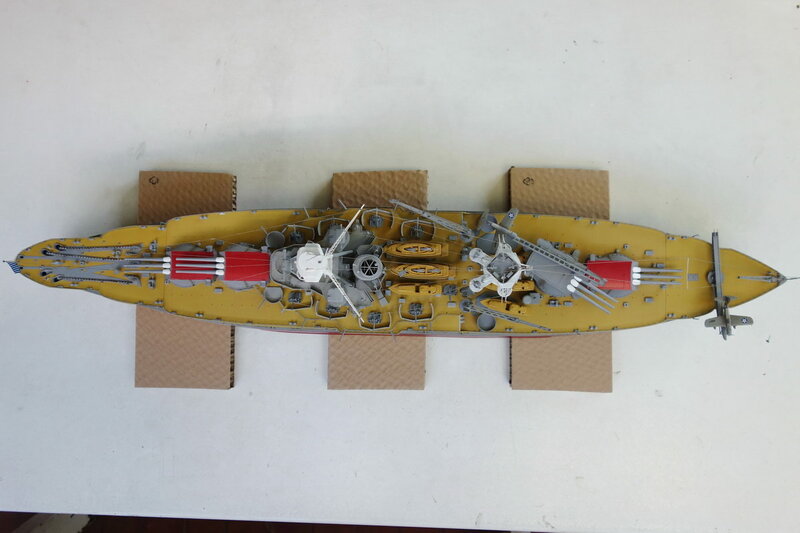 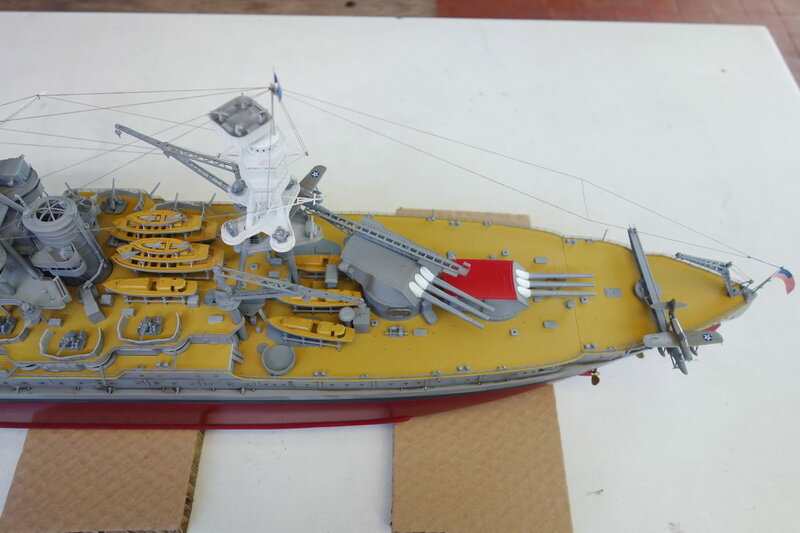 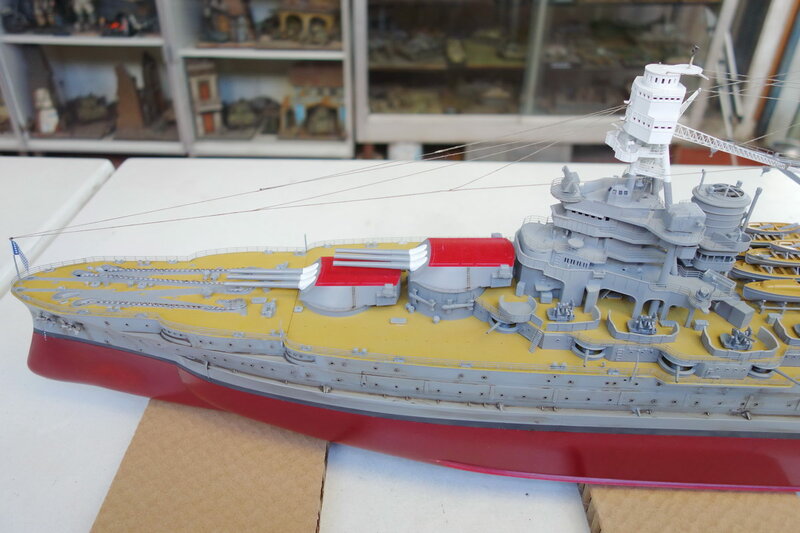 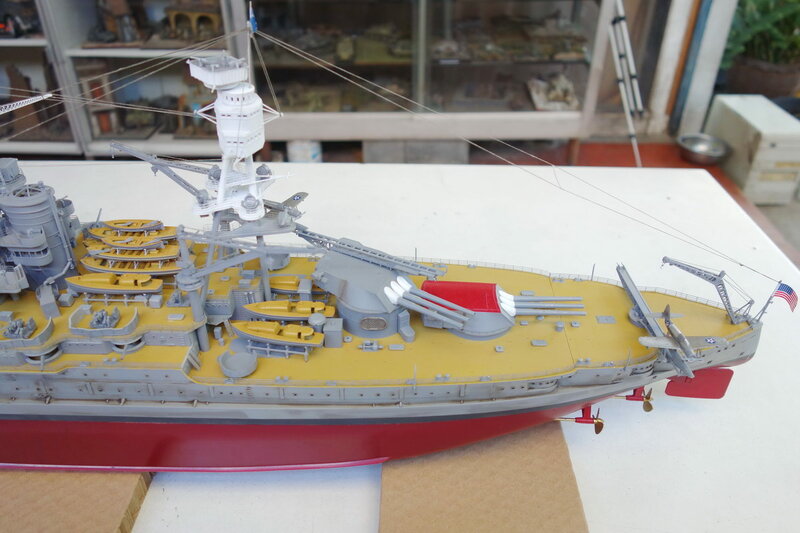 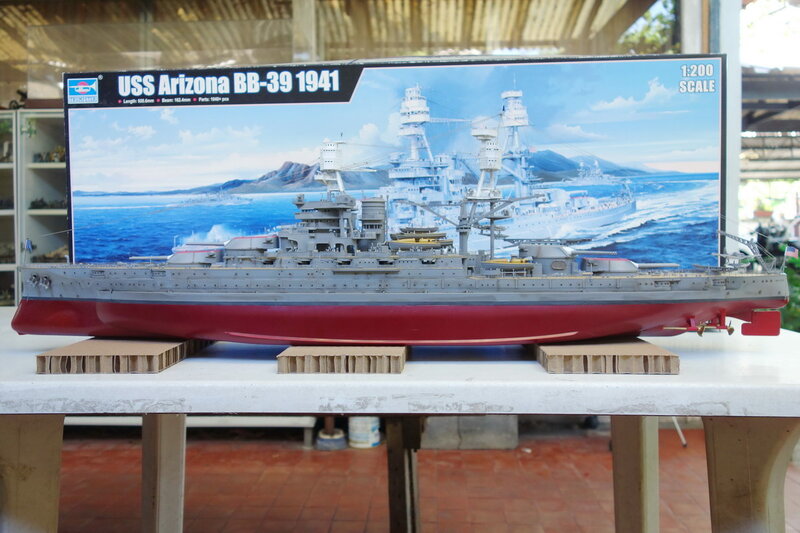 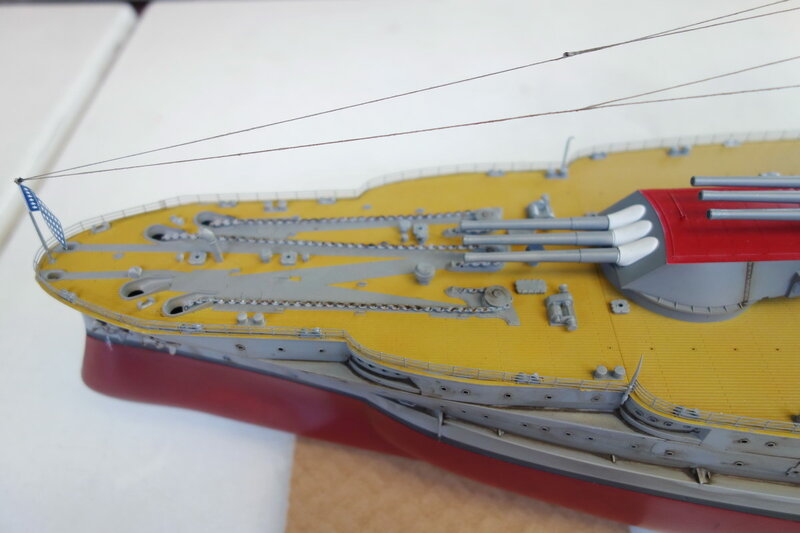 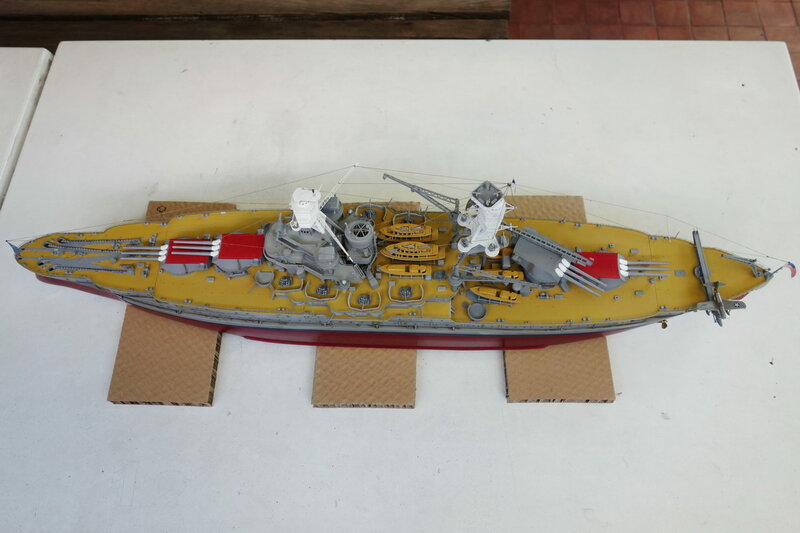 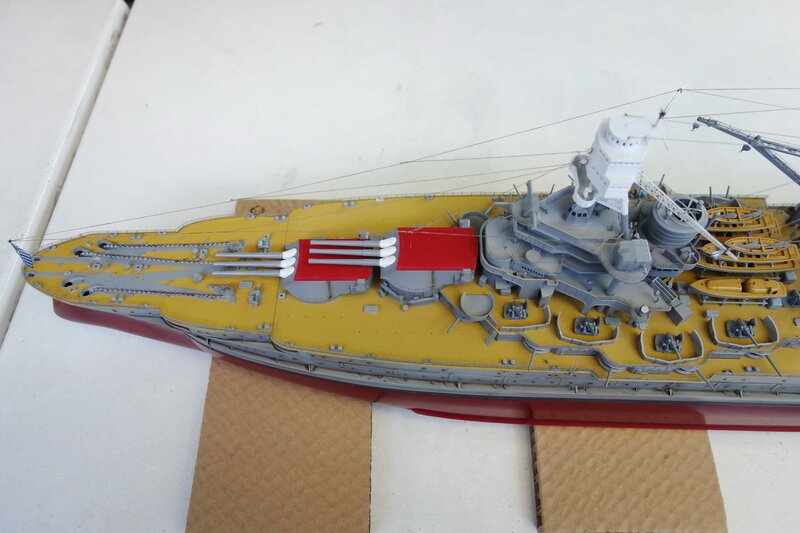 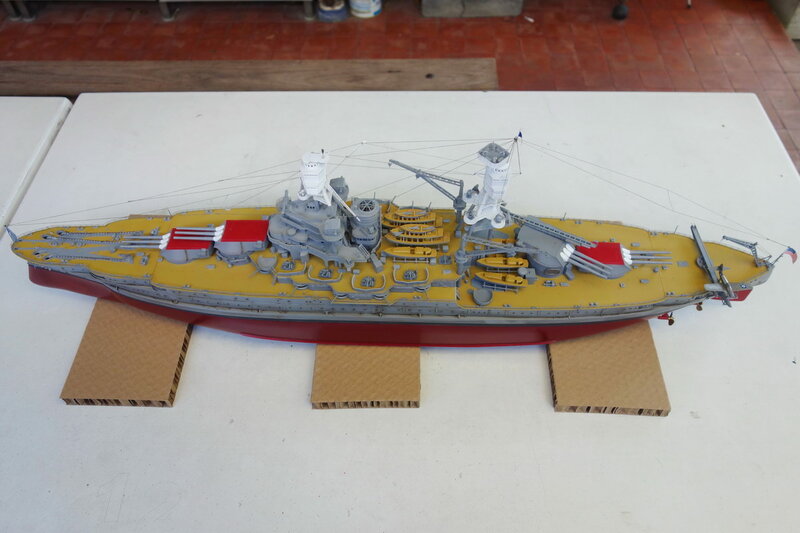 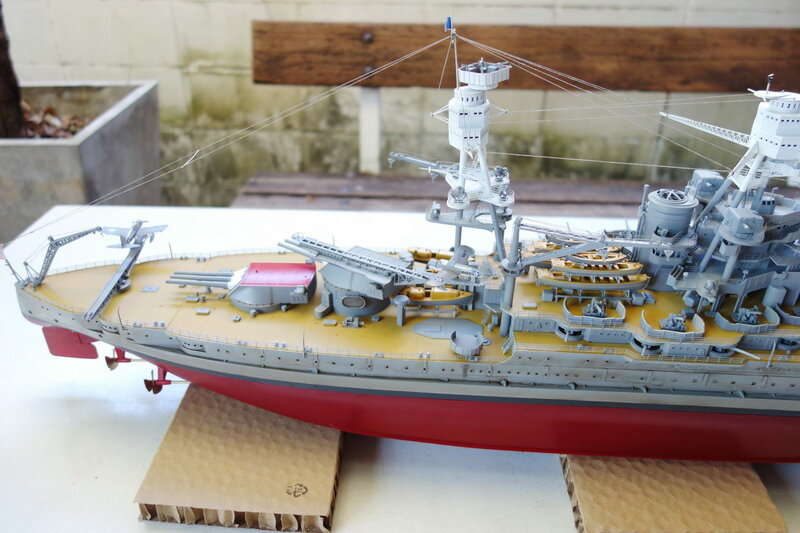 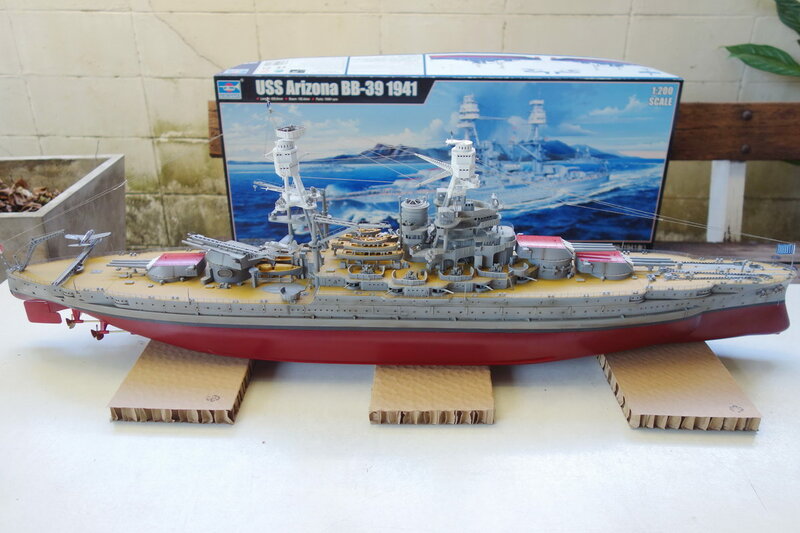 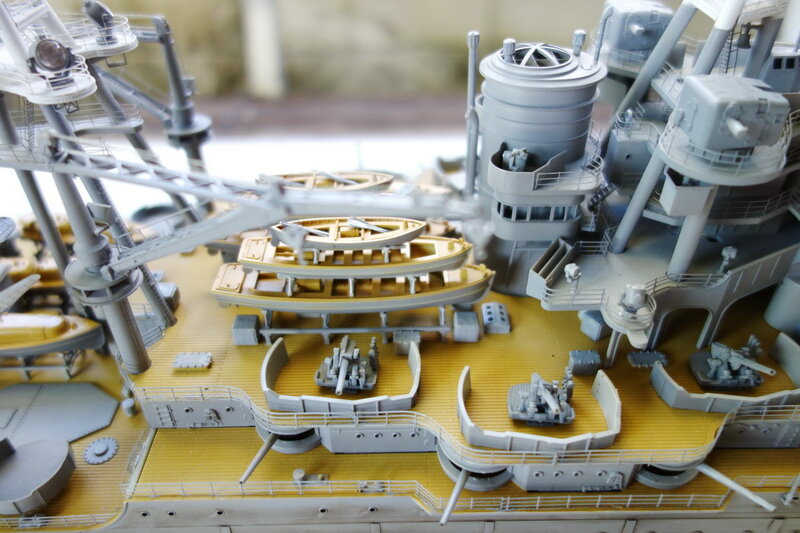 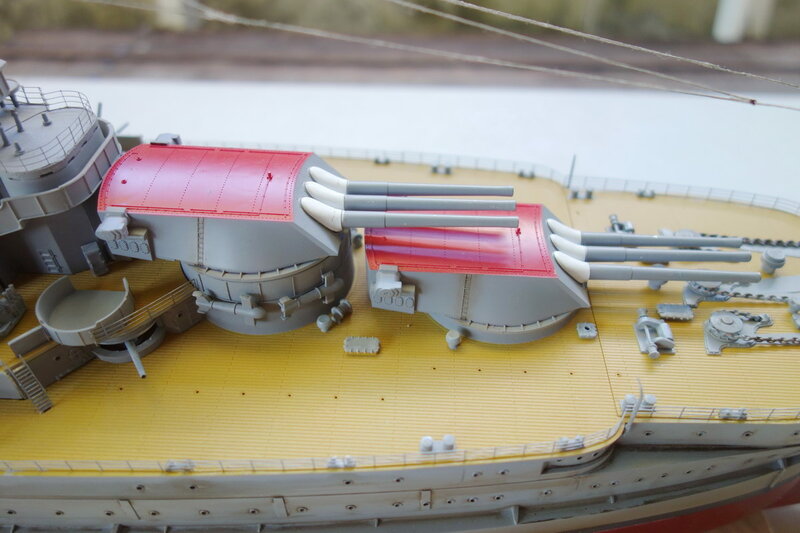 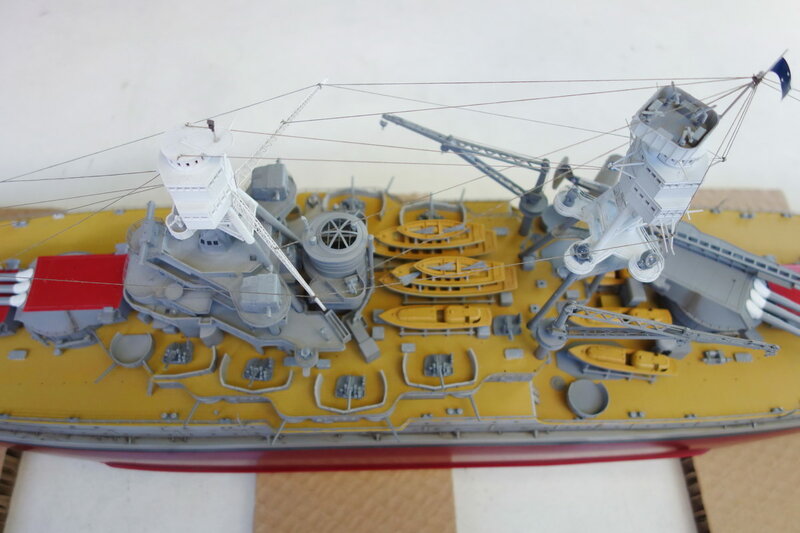 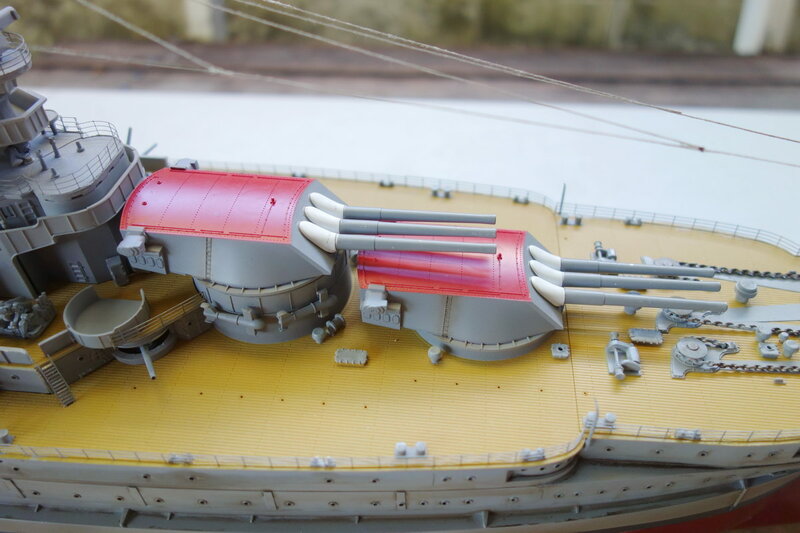 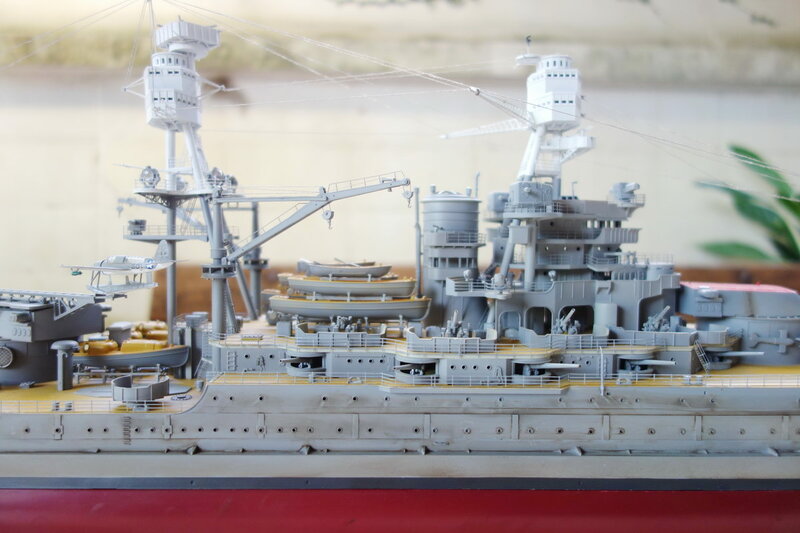 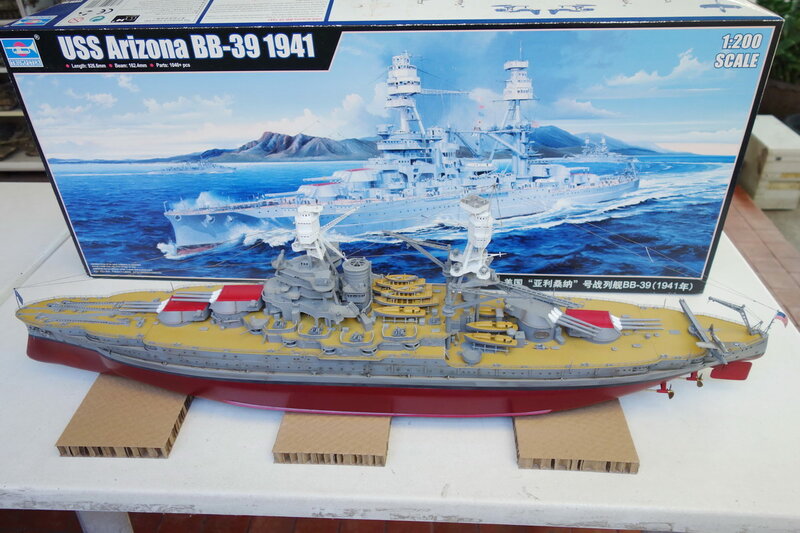 Arizona BB-39 1941 1:200 + Trumpeter's Upgrade Set - by "Nipon"
Commissioned in May 2016, this warship took "Nipon" almost 2 years to finish. 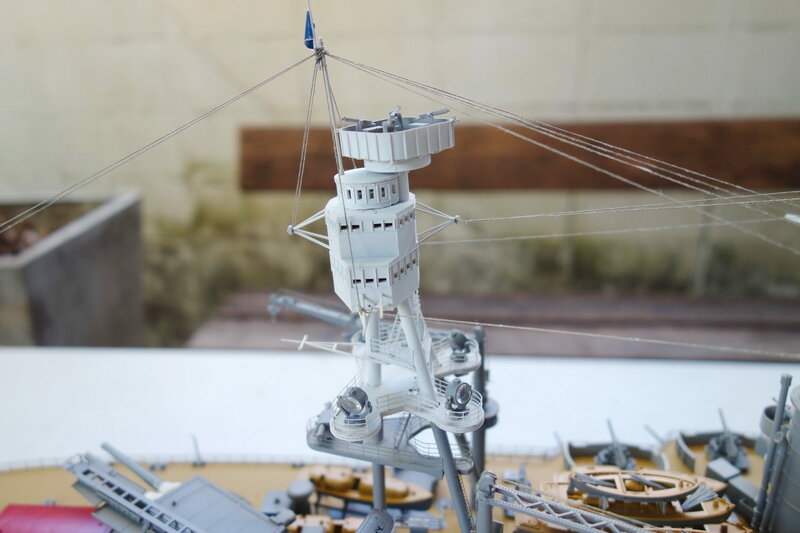 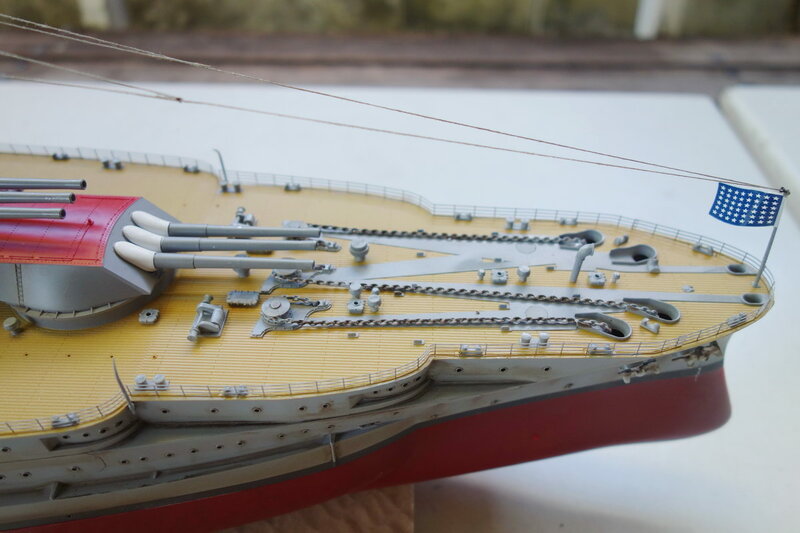 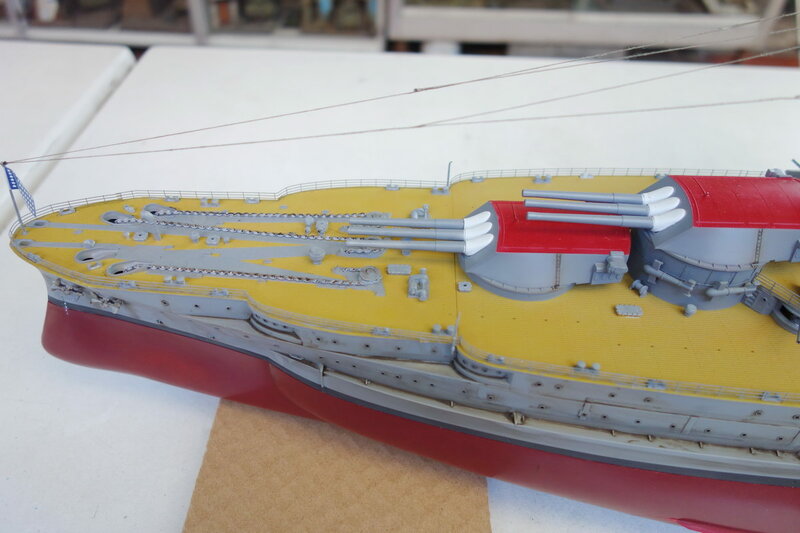 He said that the most difficult part is rigging and that rigging alone took him weeks. 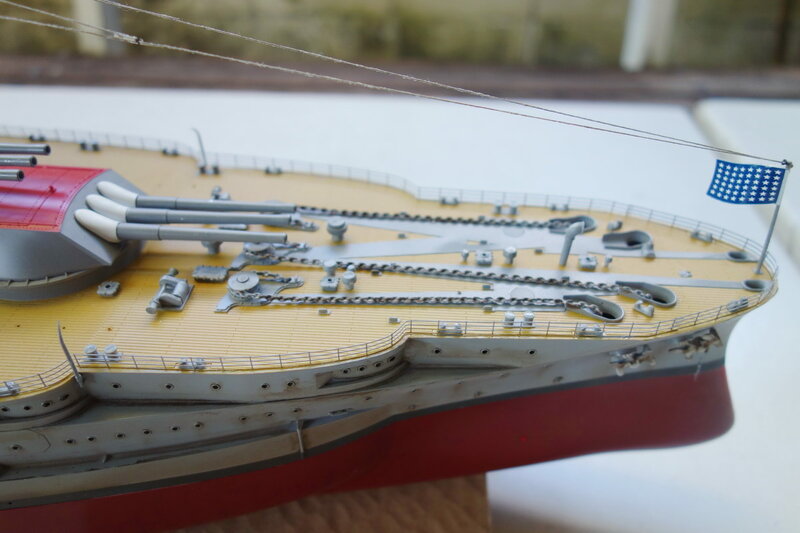 Balances of cable tension had to be established among the interconnected masts, not an easy job!